This page will be devoted to bringing you news and activities of the club members. 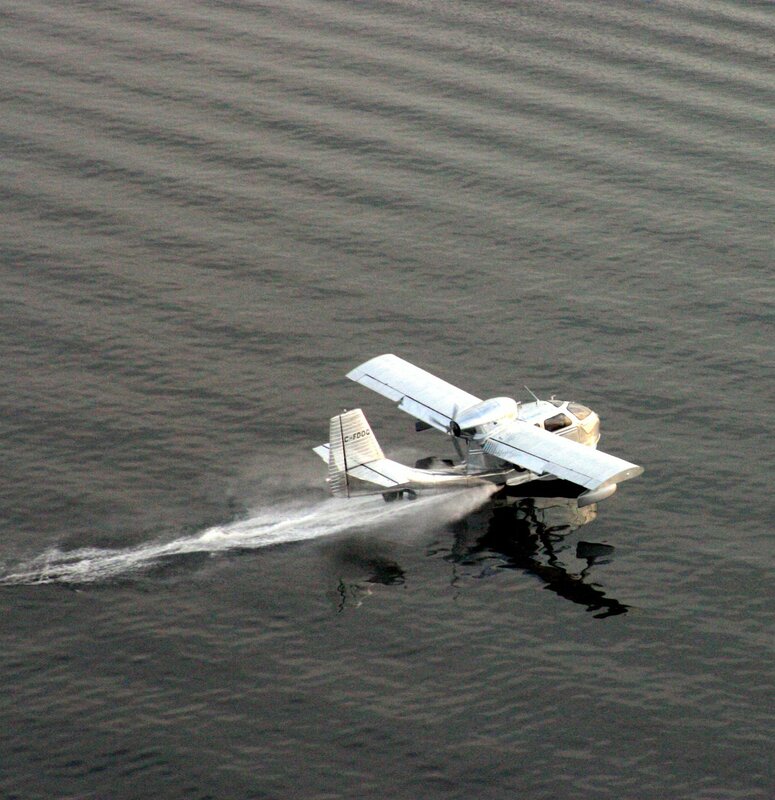 You are invited to send in Seabee anecdotes and experiences. 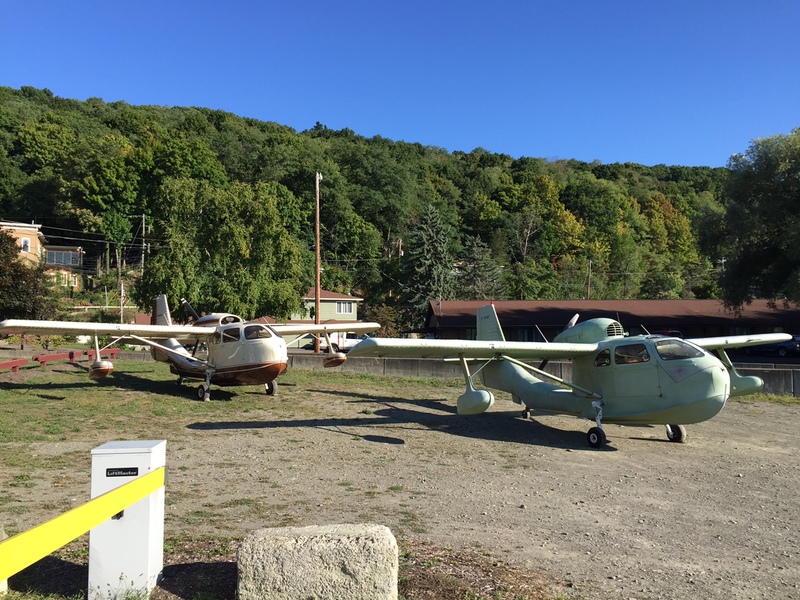 Notice of Bee fly-ins along with anything of general interest. We will be updating this page as newsworthy items develop. Your turn! 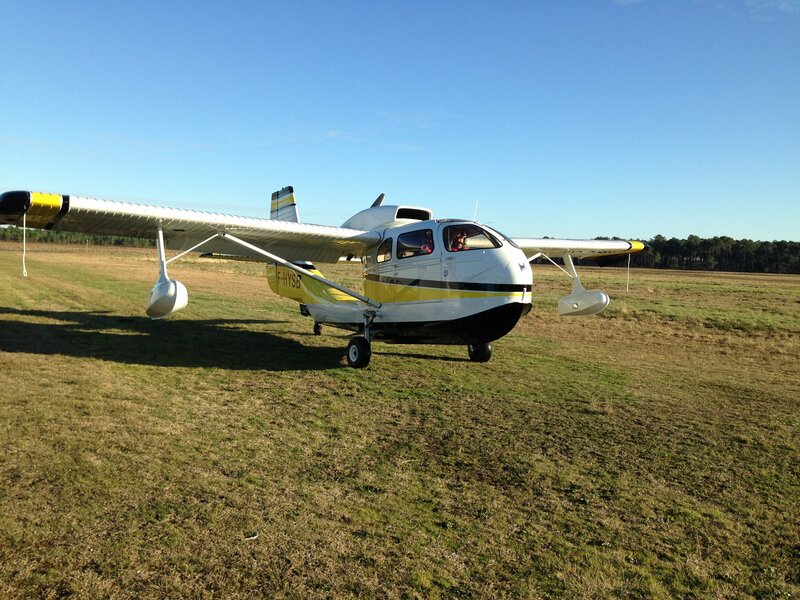 This is whats happening in the Seabee world! 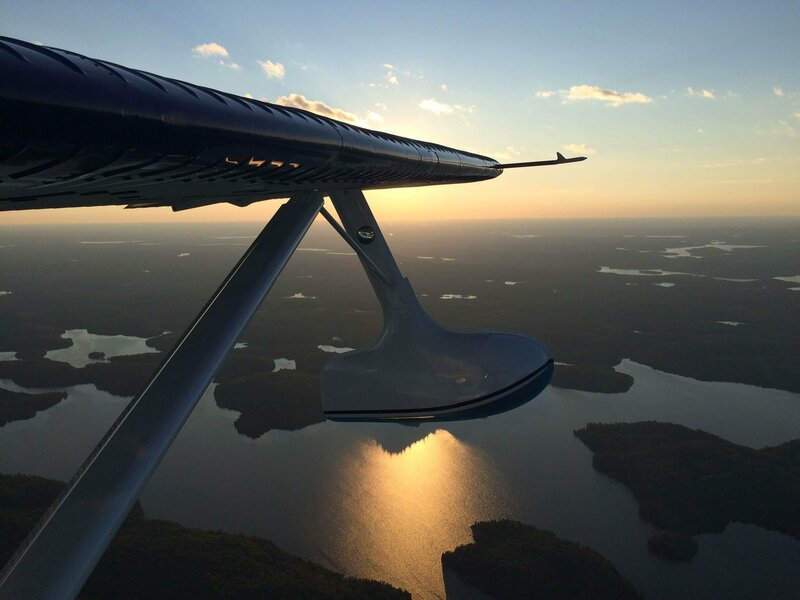 Fly-ins, places to visit, and members escapades. If you have some news, let us know. 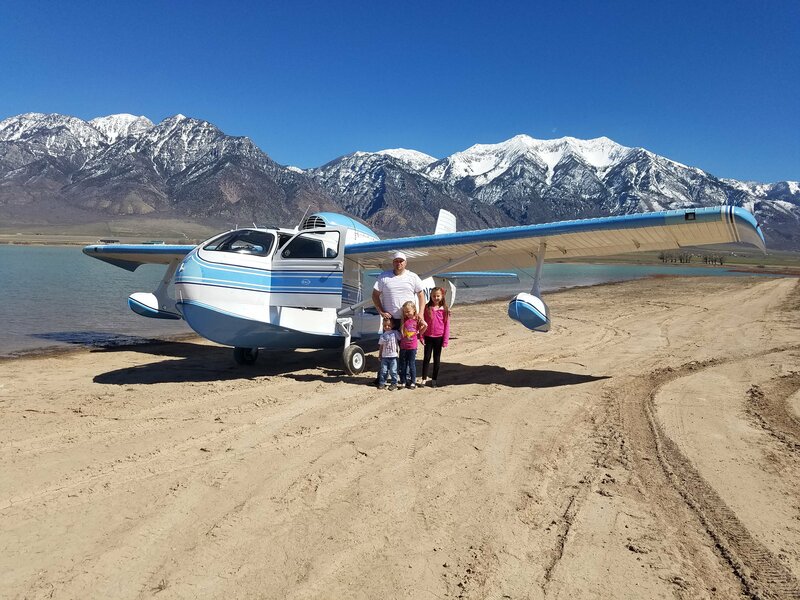 Just e-mail us and we will be happy to add your adventure! Anybody know about the Starn's Seabee operation in Atlantic City? If you know anything about Starn's, contact Don at d.dyen@verizon.net. "Hi, I was born in 1944 and as a child we had a house in Ventnor New Jersey. 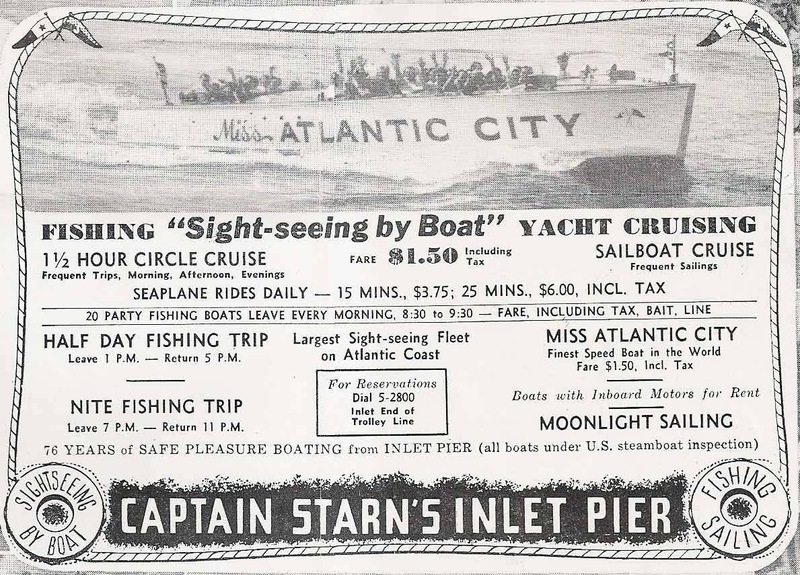 I used to go with my parents to Captain Starn’s Inlet in Atlantic City. 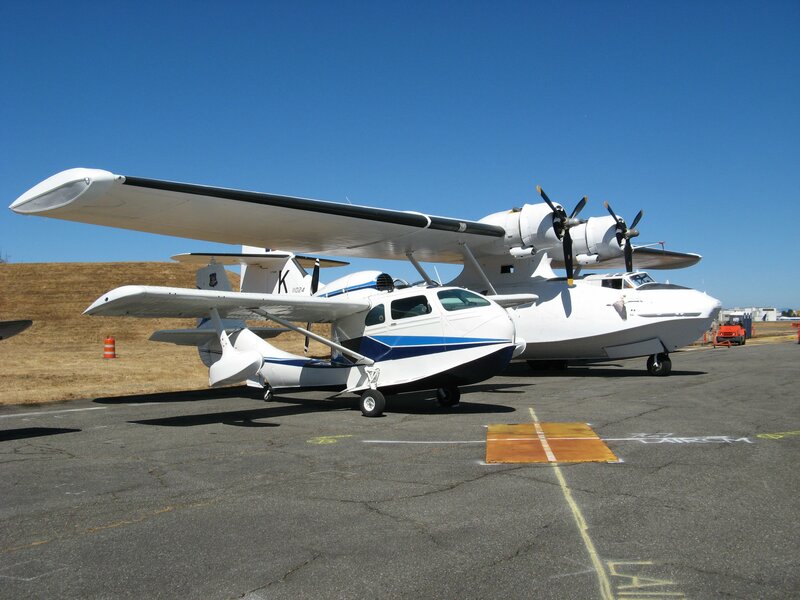 They had a Seabee there and I used to watch it at the dock where it would start up and take off in the bay or ocean there. 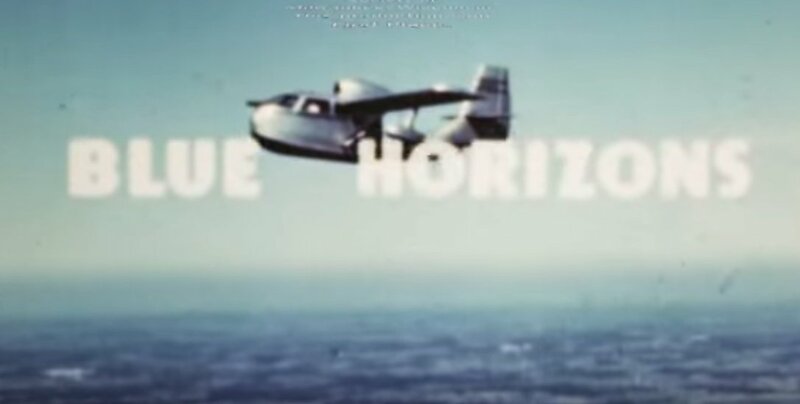 I used to watch it, with my little brother, fly up and down the Island, it was very loud and had a distinct sound and we could always hear it coming. 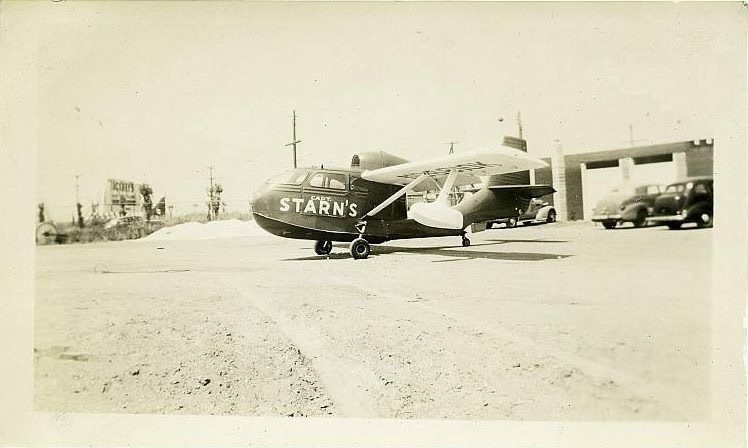 I found a photo of the Captain Starn’s Seabee from about 1949 and I figure it flew from the inlet and gave rides to people from maybe 1947 to 1952, and then I am told they stopped due to all the boat traffic at the inlet. We also saw where they parked it to store in the winter at Bader field in Atlantic City which was near the inlet. 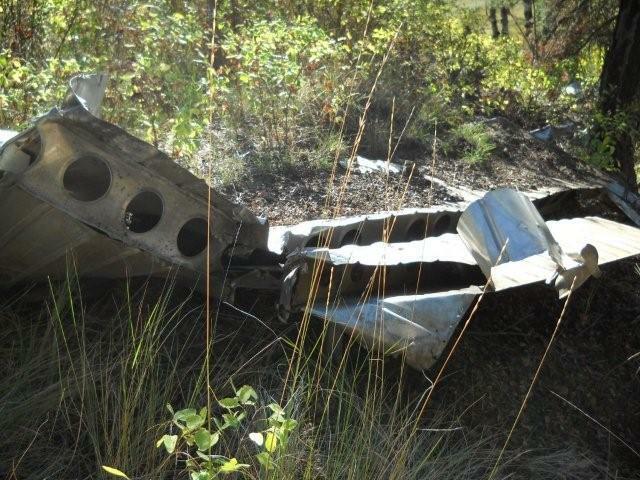 We, my brother and I, were heartbroken when they stopped flying it there. 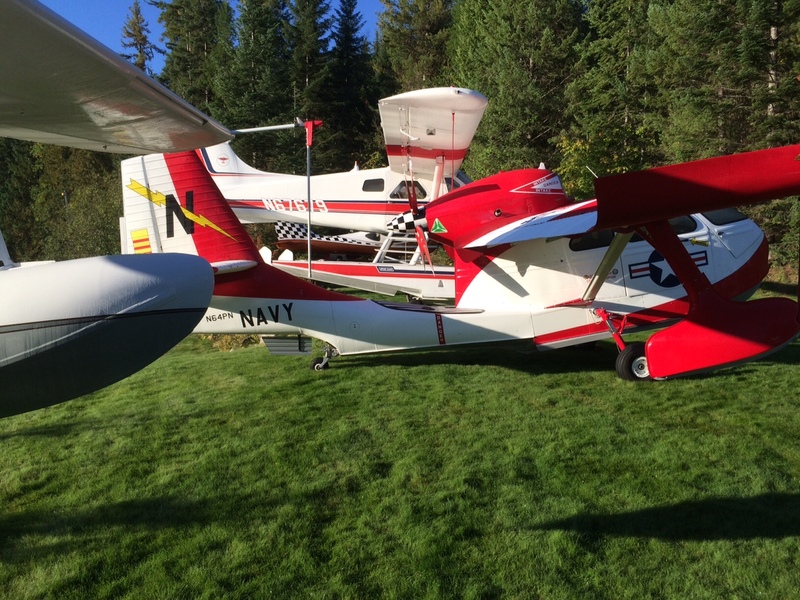 My brother has passed on and I've been remembering things about this plane that we both loved so much. 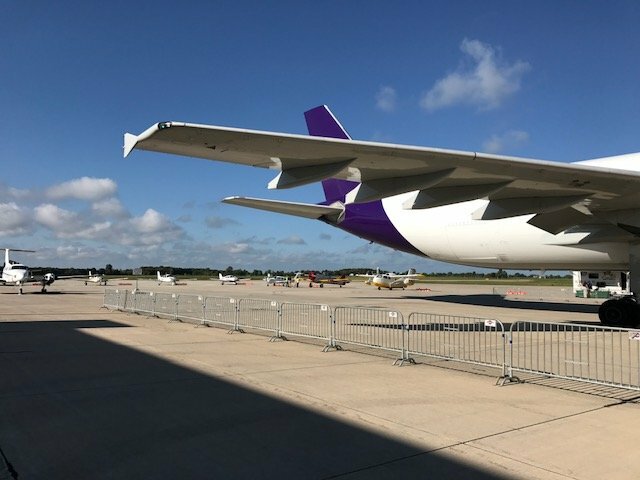 I looked thru your list of planes sold but couldn’t find anything about one that went to a buyer in Atlantic City, but maybe it was one of the ones bought and shipped to Philadelphia. 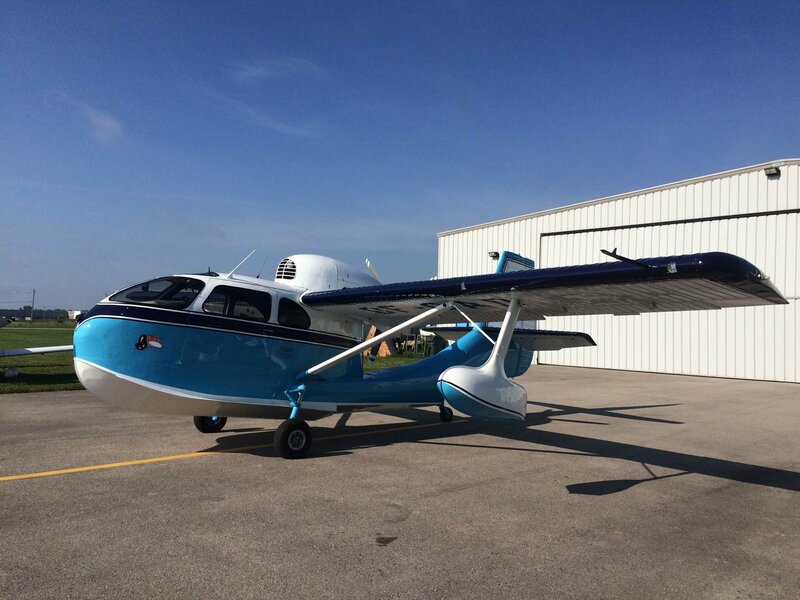 I’m just curious if you know anything about the Seabee that flew out of Captain Starn’s and if you do or have any photos I would love to see them if possible. 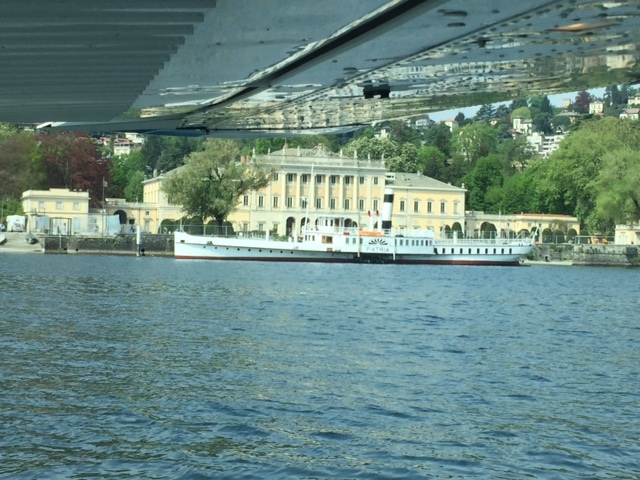 I am attaching the one shot I would of the plane and a promo piece from Captain Starn’s listing the seaplane ride and prices as you might find this interesting. 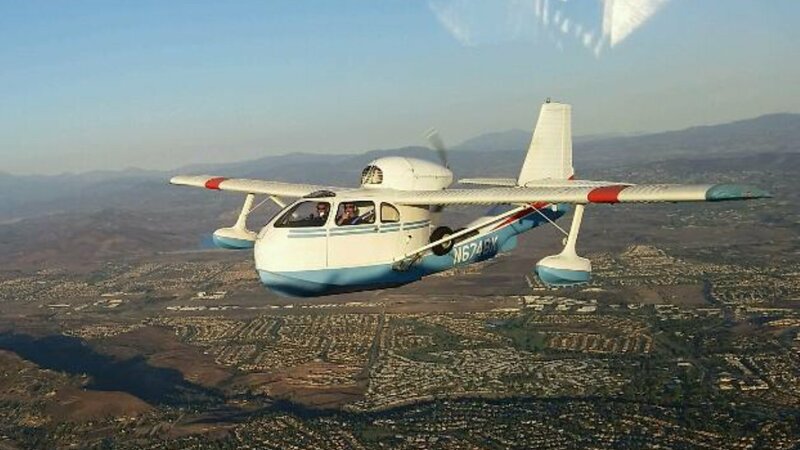 Over the years I have built plastic models by Lindberg and am looking at buying plans for one, a radio control one with a 51” wingspan, I built so many flying models as a teenager, but never a Seabee. At any rate, thanks, for listening, and anything you could tell me about Starn’s version, I would really appreciate. 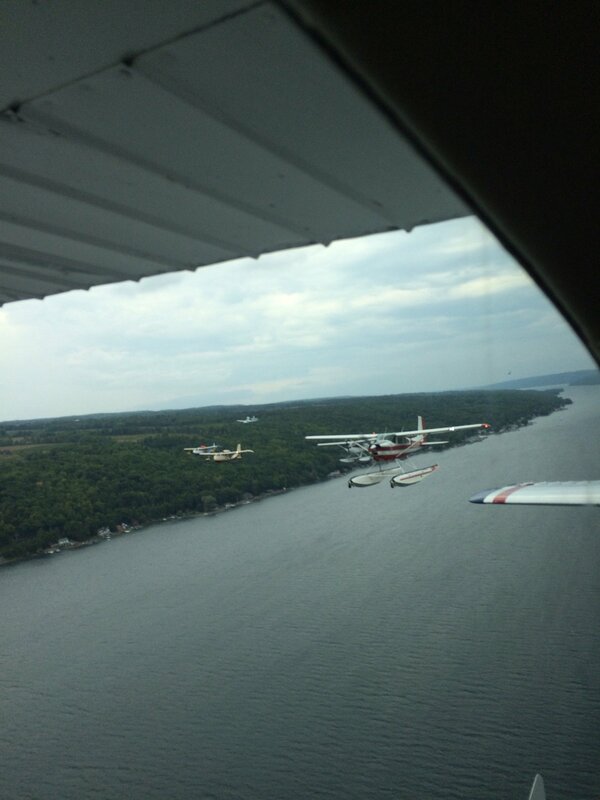 Below are photos of the "Ol' Marty B" taken from an Aeronca Champ by former Pan Am/National Airlines pilot Jim Franklin. Taken on Lake Murray in South Carolina. Thanks Jim! 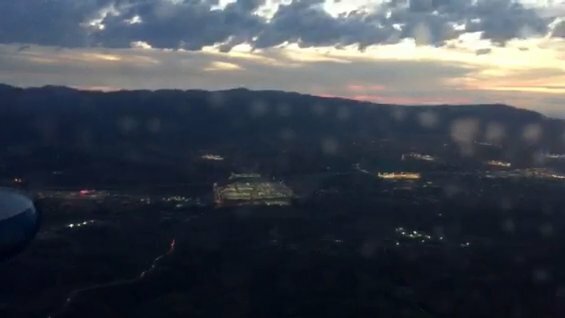 where Boeing has their big plant. Thanks Tom! 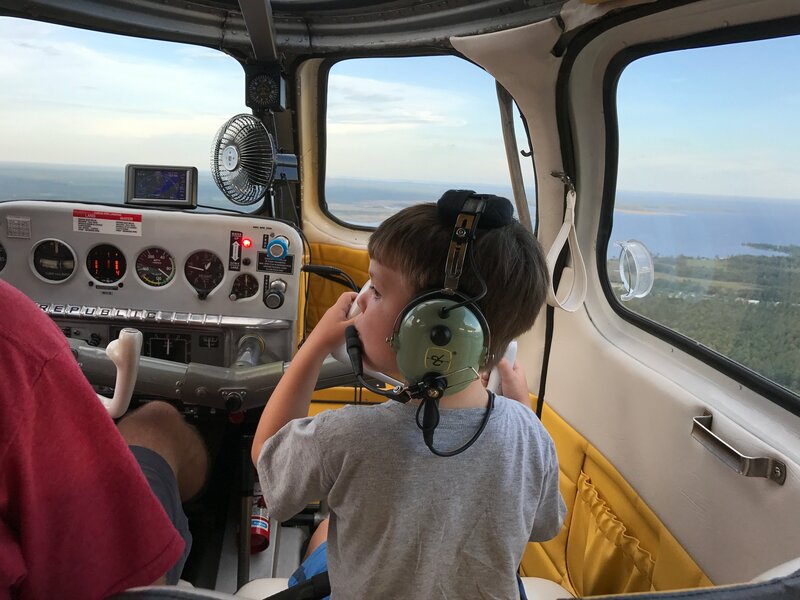 Member Eric Huppert copiloting with Grandson Josh. Photos by Josh's Mom, Kristen. 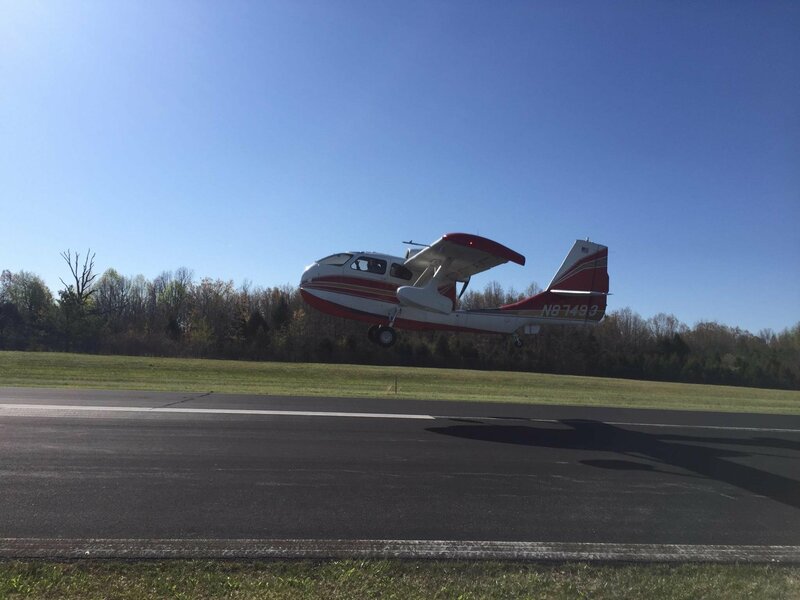 He must have an extended baggage compartment! 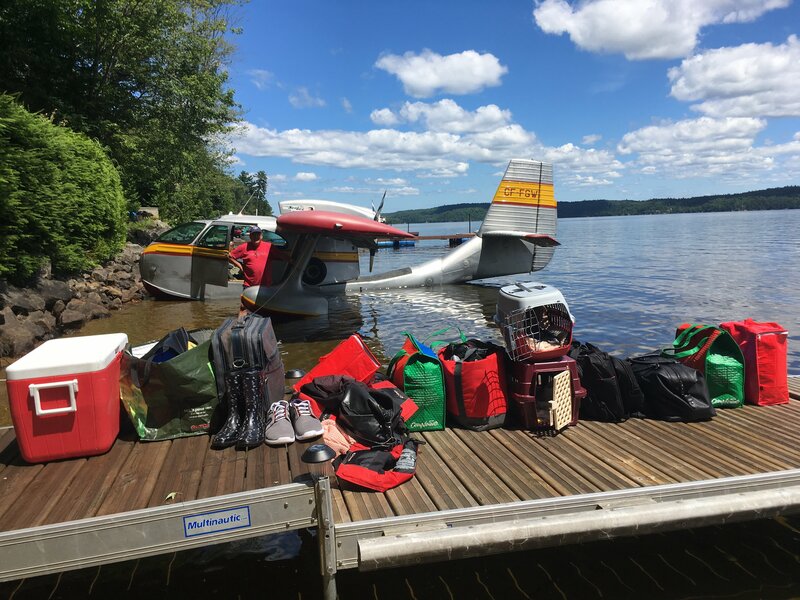 Note the two dog carriers! 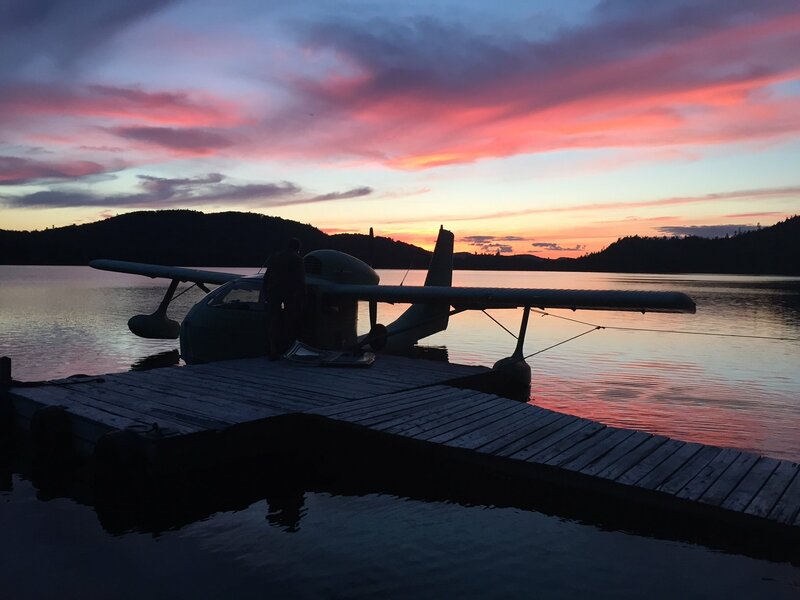 Great photos Michel! Thank you. 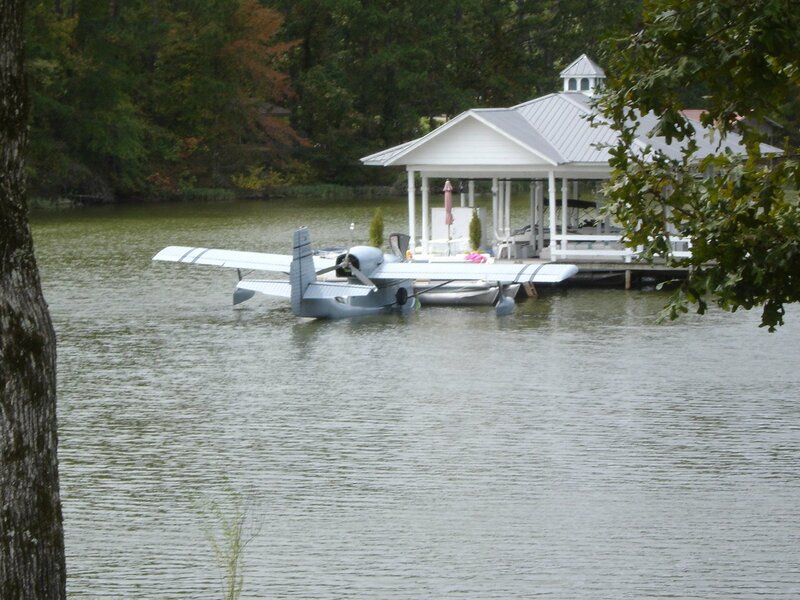 Herb Sherwin found this photo of my Seabee at his home in Alabama way back in October 7, 2012. Thanks Herb! I'm glad you found it! 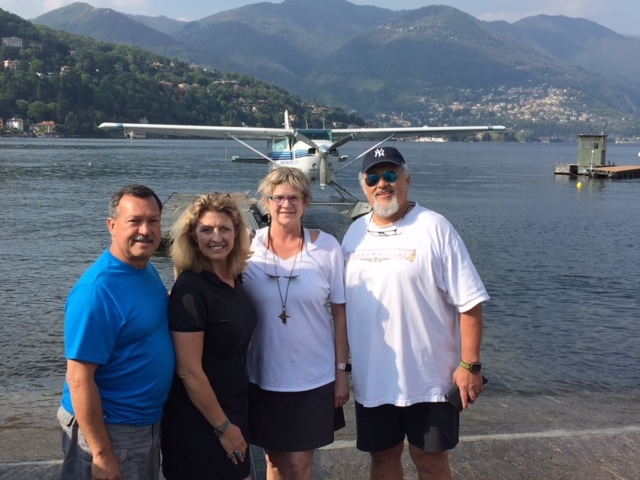 Members Ed Tello and Henry Ruzakowski made a trip to Italy to get the Lake Como Seabee airworthy again. What a trip that must have been! 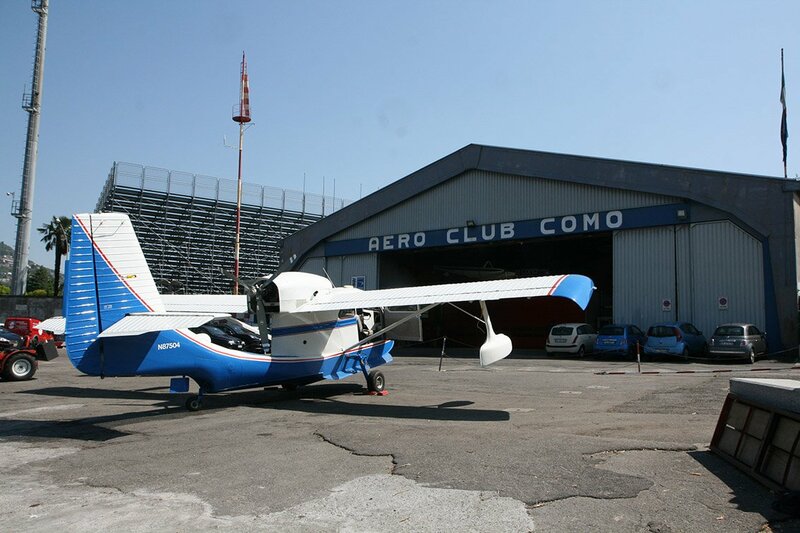 Congratuations to Cesare Baj of the Aero Club Como and to Henry and ET for their "above the call of duty" work. It appears that everything went fine but Cesare says there are a few little things to take care of. The main thing is, IT'S FLYING! A comprehensive list of Seabees in Australia from our brothers down under. 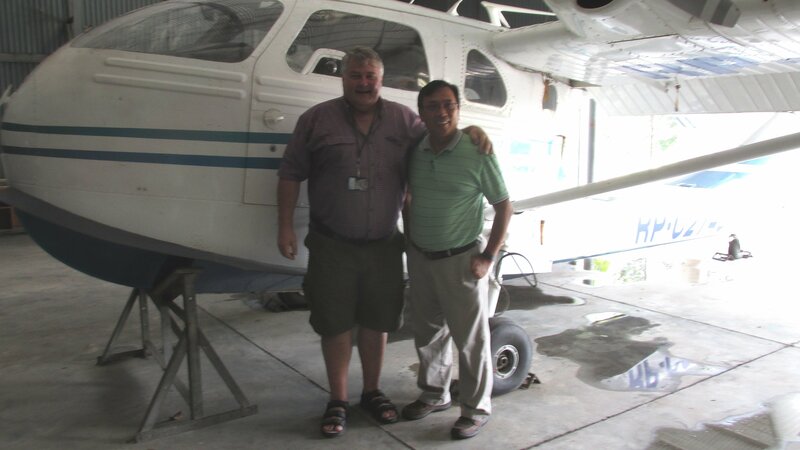 Member Elpio Paras (R) and future member Russell Legg (L) with Elpio's Twin Bee in the Philippines. Russell, from Australia, vacationed there and tracked down Elpio. 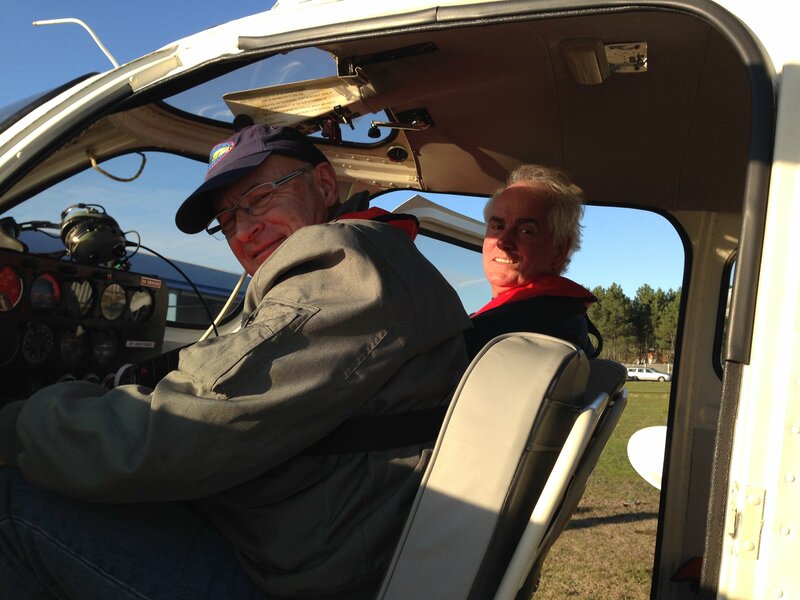 is anxious to get it flying again! Thanks Russell and Elpio! 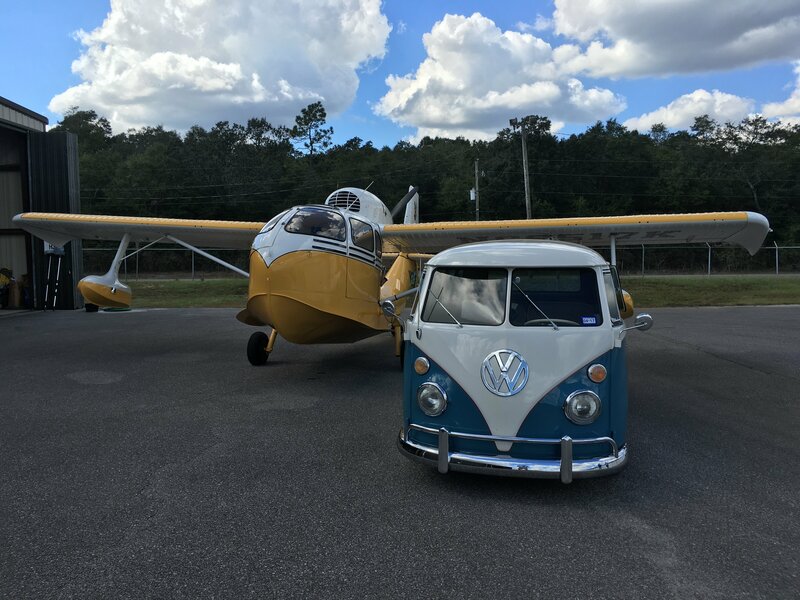 "Which one's the VW bus? 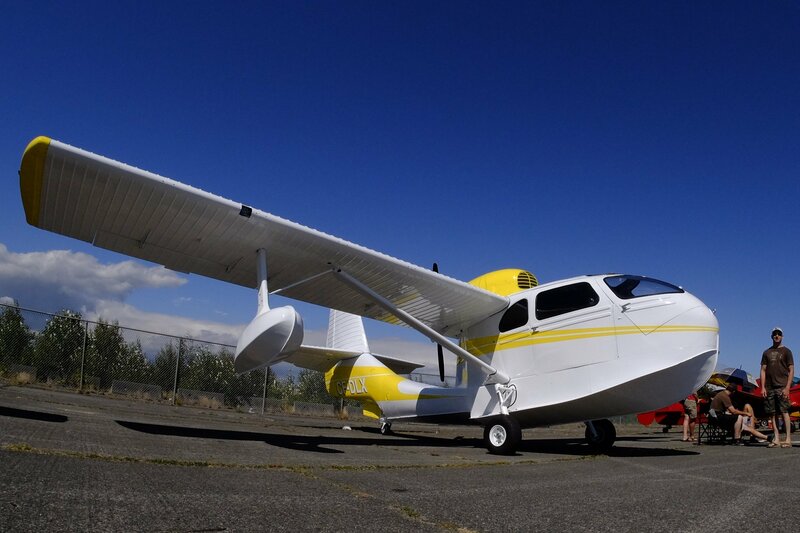 Or is there a Seabee missing it's wings?" 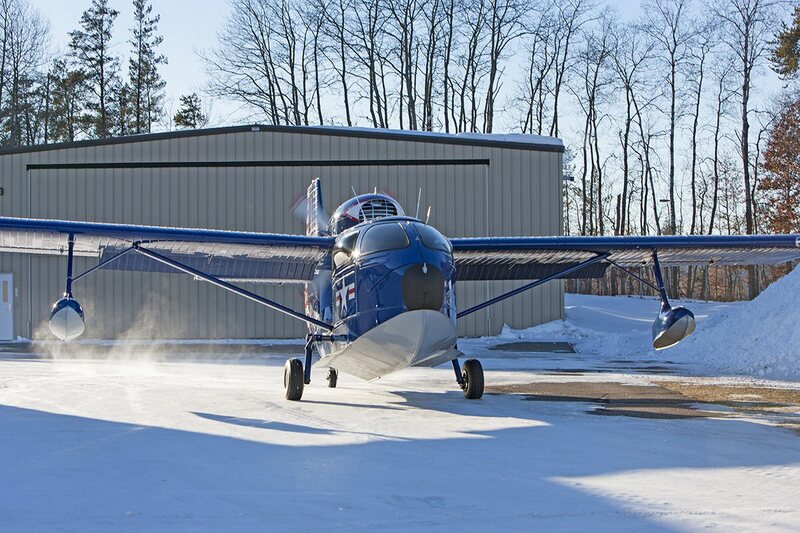 Somebody's Seabee in Maine. Beautiful! We don't know what happened as of yet but will keep the membership updated with the latest information. 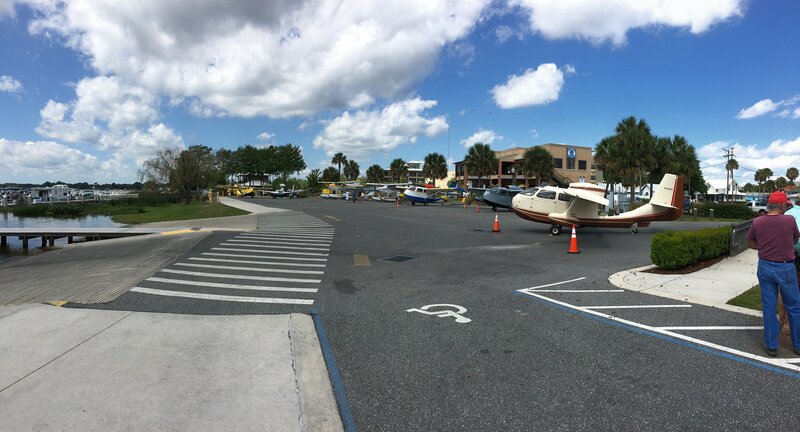 Crash took place right after takeoff from Winter Haven, Florida. Update: John and Dot are okay but still in intensive care. 8-16-2016: More info here. Some confusion about the status of John and Dot. 8-26-2016:"I just reviewed the incident report and found it to be pretty accurate as I remember from the conversation I had with John about a week after the event while he was in the hospital. He mentioned few facts that I will pass on. 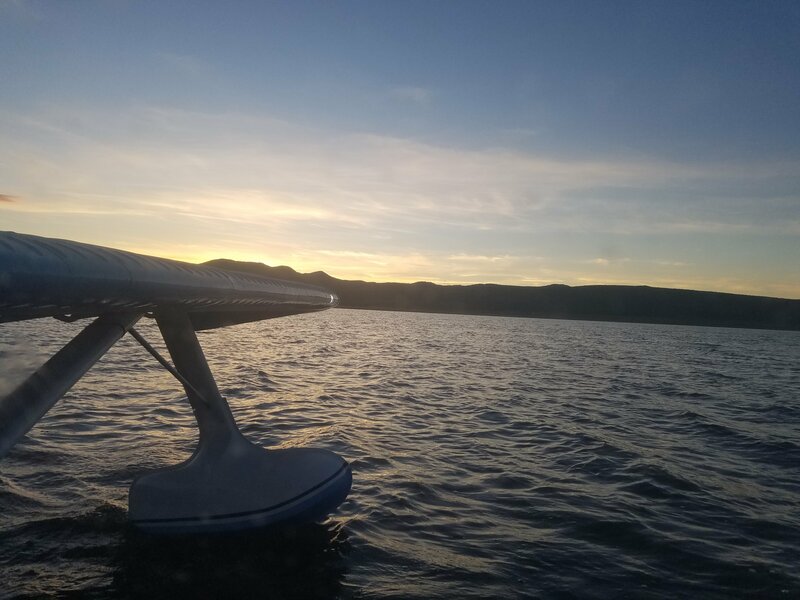 After takeoff at about 300 ft. he experienced a reduction in power and he turned towards Lake Echo in an attempt to land in the water but he lost altitude and hit the trees surrounding the lake about which time the power came back to full. 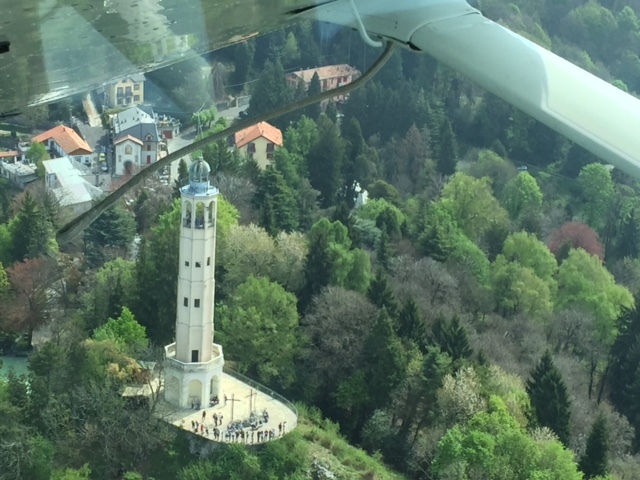 The drag of the plane in the trees prevented gaining altitude . 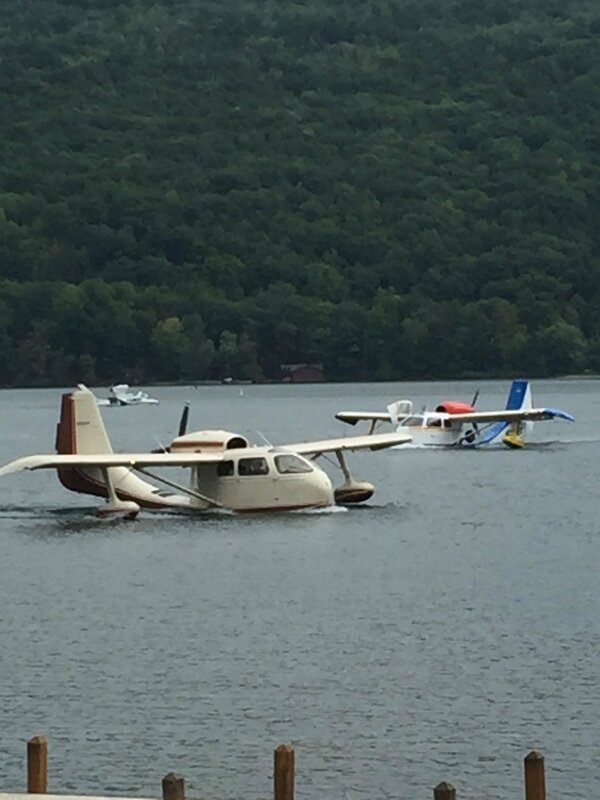 The plane ended up about 200 ft. from the water. 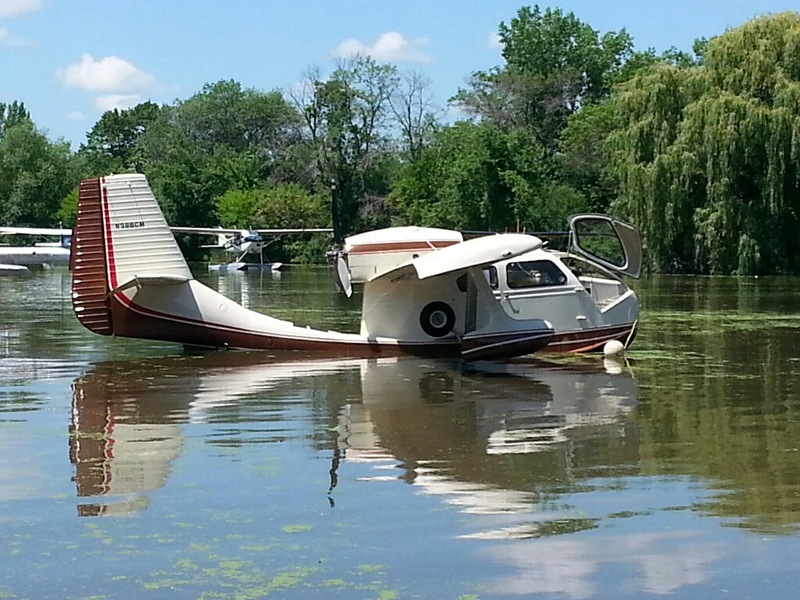 I asked if the gear was up or down and he said it was down so a landing in the lake might have been dicey. 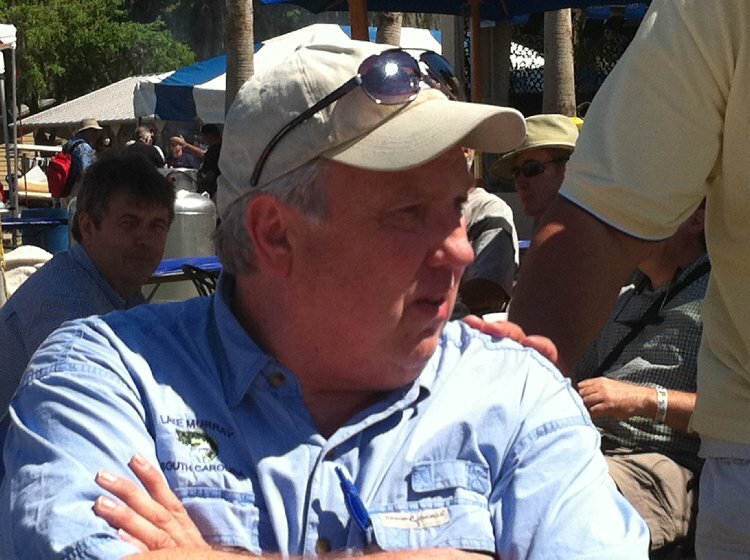 As a side comment,the Murphy's own a home on Lake Echo so he was familiar with the territory. When I talked to him he did not mention the head injury but said he was pretty beat-up but expected to be discharged from the hospital in few days but Dot more seriously injured and would be hospitalized longer. I talked to him a few (days) later and he was home. He called me few days later to report he was back in the hospital because a collapsed lung but nothing else had changed. The next contact was from a friend of the family that told me of John's passing. I don't know the cause of his passing. He was buried in Rocky Mount, NC last Friday with full military honors. 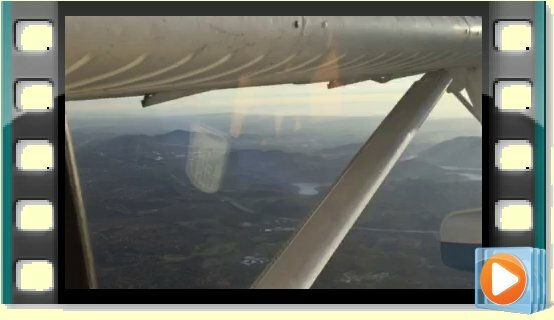 As a side light, I helped put that plane together both at his house and at the Rome, Ga. Airport and witnessed its first flight. He bought that Bee in a thousand pieces. 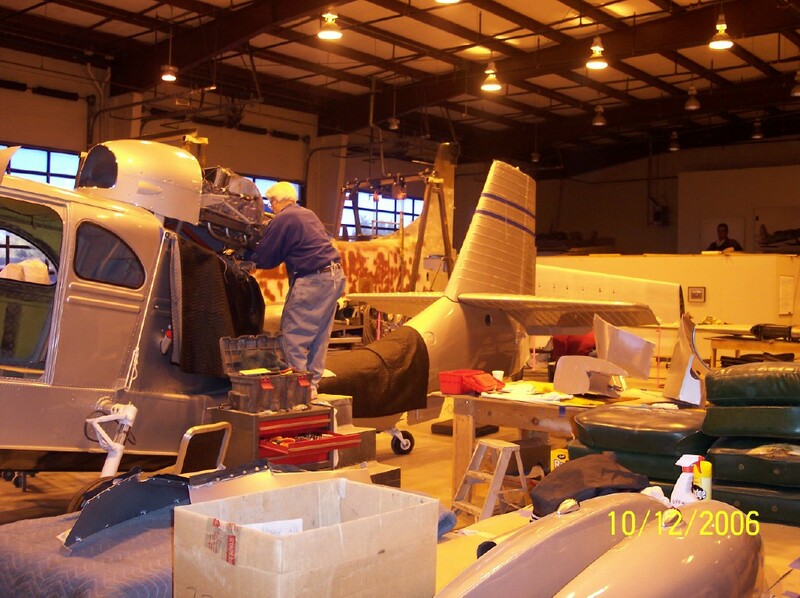 A phone call with Dot revealed that there were lots of Bee parts in the FL hanger that have since been moved to the home garage and wanted to get them to someone that could use them. Any suggestions?" 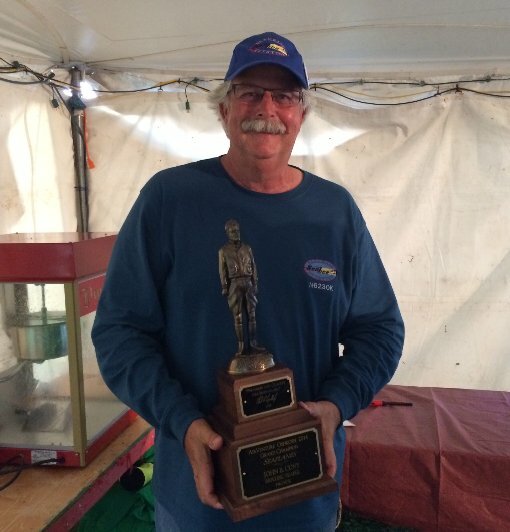 John Cuny won "The Best" at Lake Otsego in Michigan. 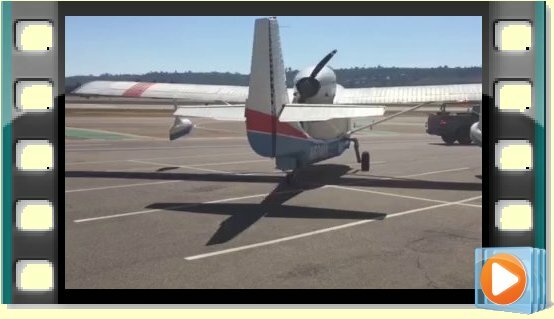 You can follow their progress here http://tugmoe.com/knier-seabee/. They have made some good progress in a very short time and there are some GREAT photos! As far as I know, this is a first! 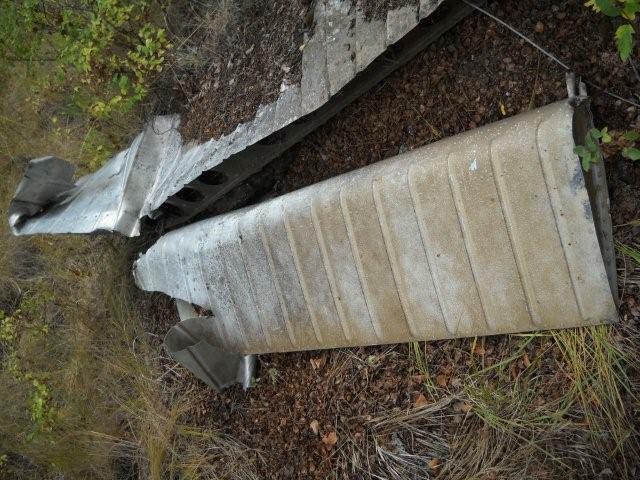 A steel ramp (Marston Mat) was put down on a river shore and Rick successfully ramped it. 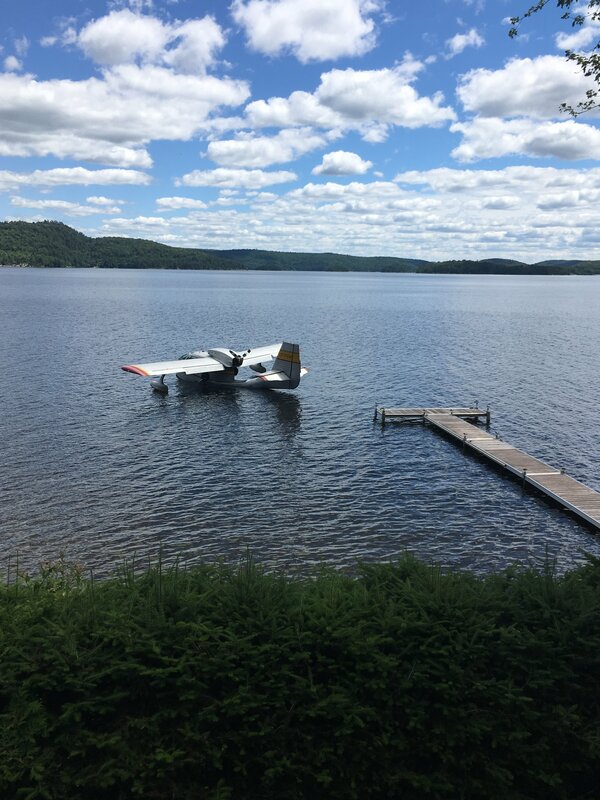 There are a few setbacks as the tail wheel started to slide down the ramp sideways as he entered the water. 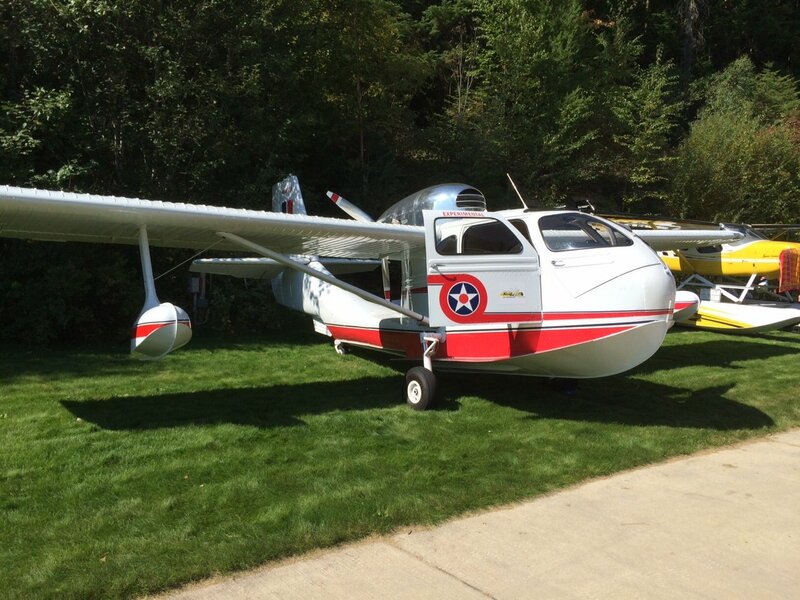 After much knashing of teeth, the Seabee was righted and flew away unharmed. Good job Rick! 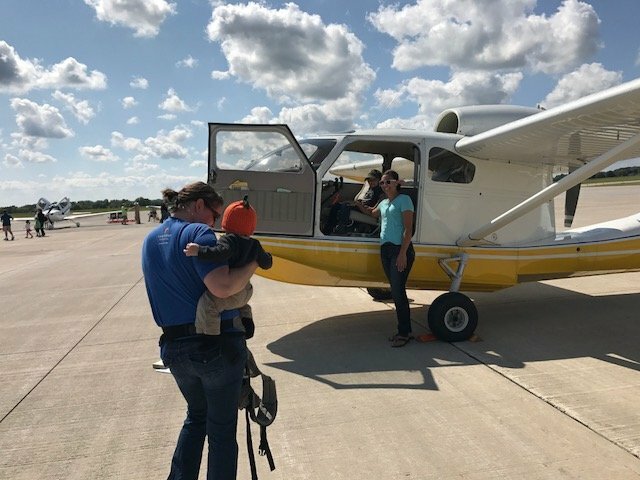 This is what Seabee-in' is all about! Look at the little boys eyes. Priceless! Click on image for Youtube video. 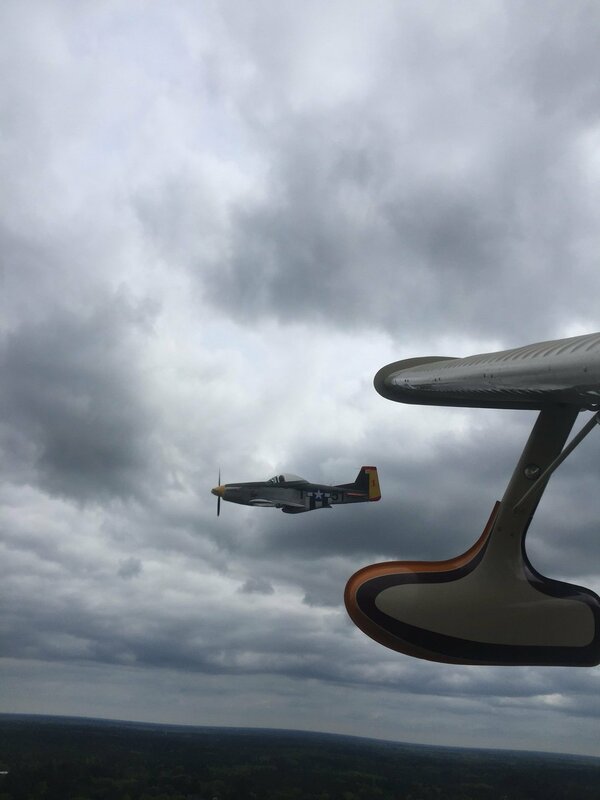 Thanks to member Rick Kaskel. Left: Late Captain Chuck Bassett. 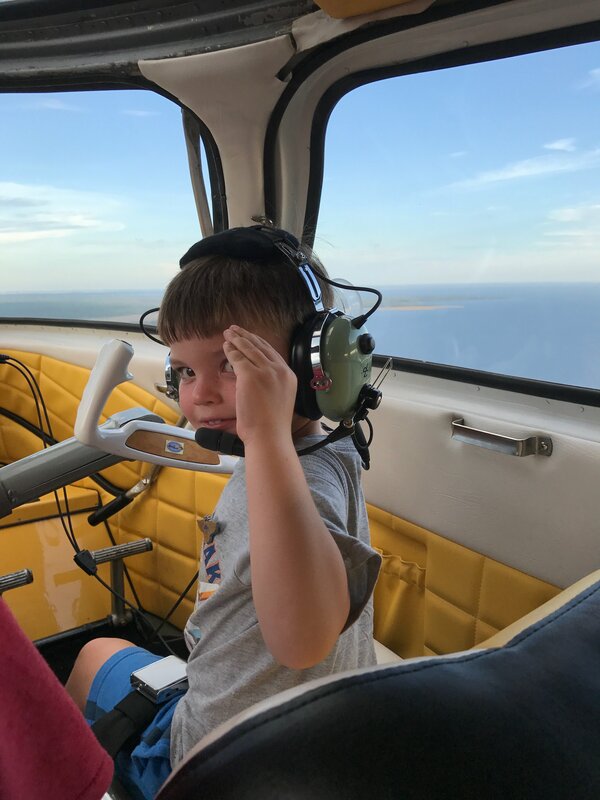 The newest Seaplane pilot in the USA! Finally! 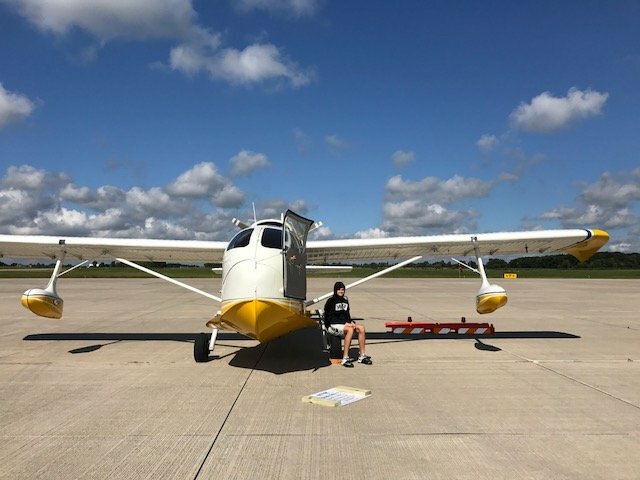 My son Cris got his seaplane rating today! 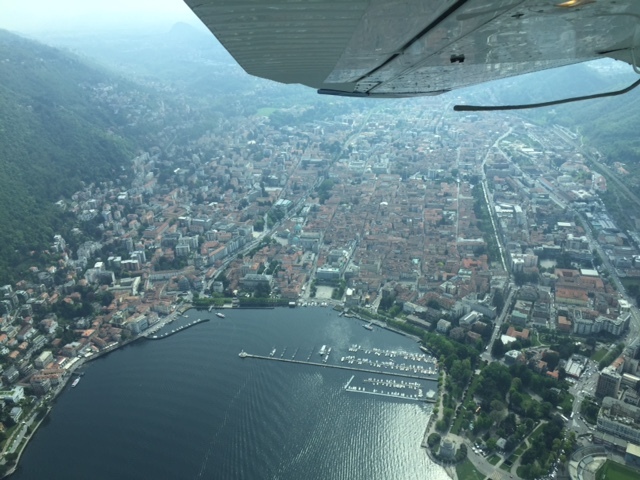 Cool photos and movies from "anonymous" member! NOTE: If the above videos won't play, right-click on the MP4 or MOV link and save it to your desktop. Then double-click the file to play. 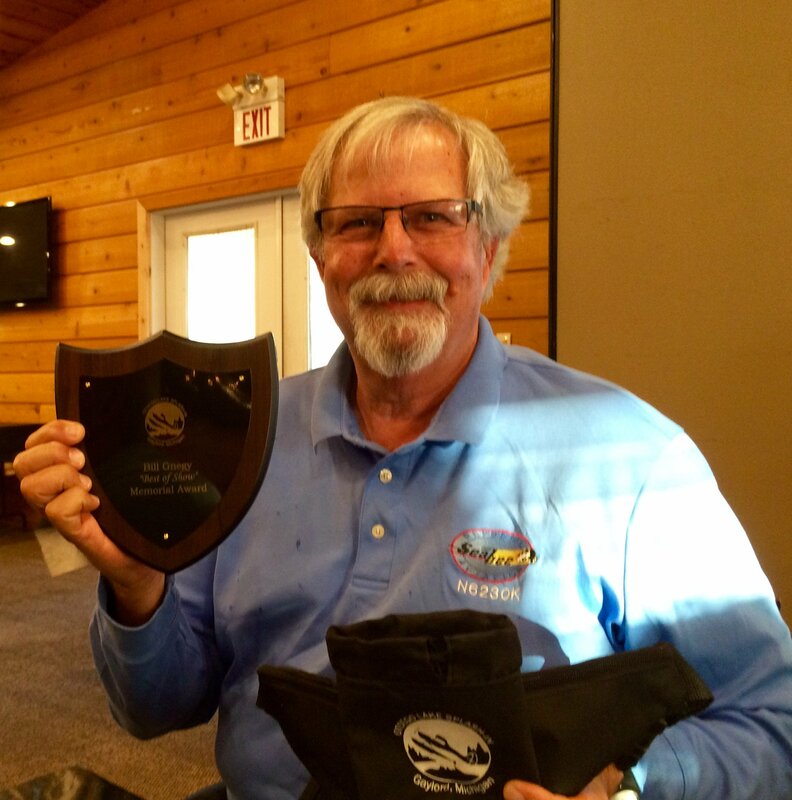 Member Bill Bardin wins Best Amphibian at Oshkosh 2015! "Sorry if you get this twice but I know so many of you supported my effort for so long I wanted to include you (meaning the e-mail recipients). 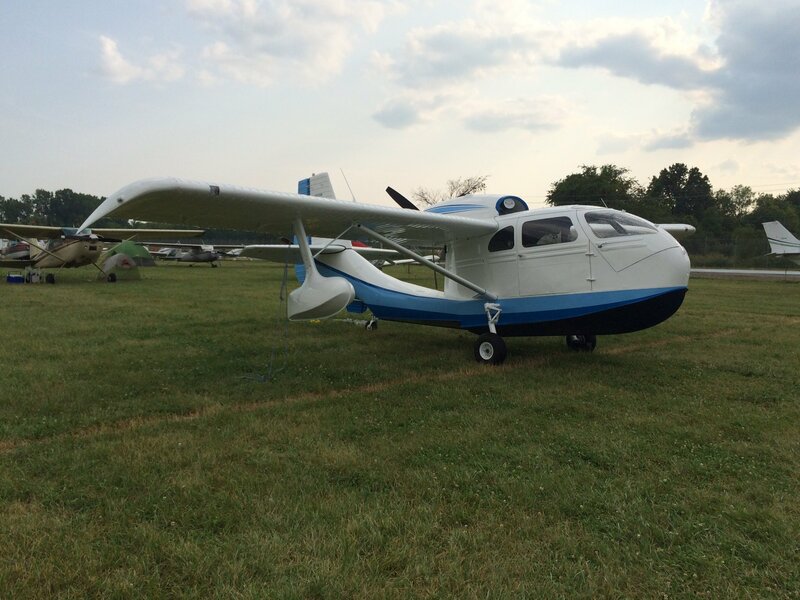 The Seabee won the Golden Lindy for Grand Champion Seaplanes Oshkosh 2014. Thanks again for all your support over these long and trying years." 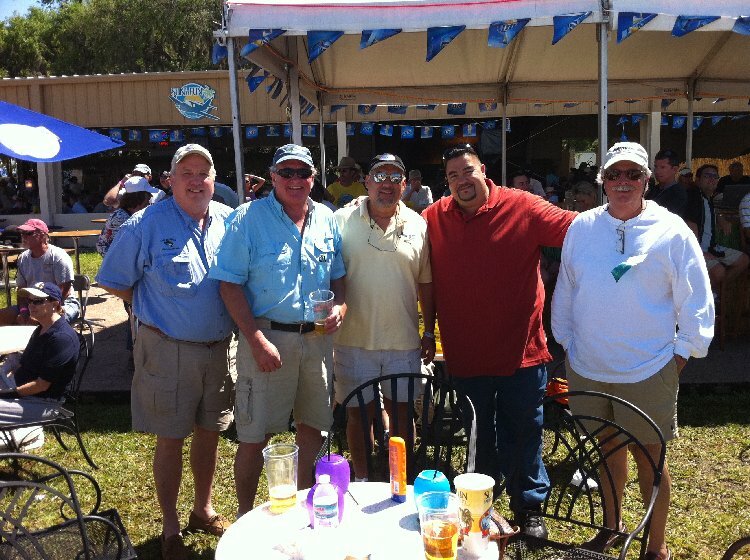 Sun 'n Fun was fun with all the Seabee guys from all over the country. We even had a few new members show up! Below are some photos taken by Michele Brignac (Henry Ruzakowski's significant other). 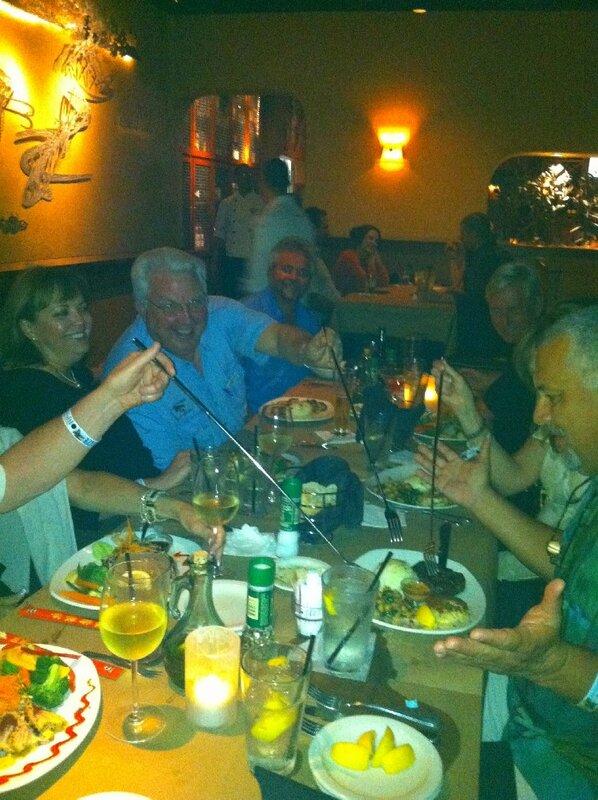 everybody's eatin' Henry's food! New member - Lou Pizarro (from the hit TV show "Operation Repo", John Cuny. 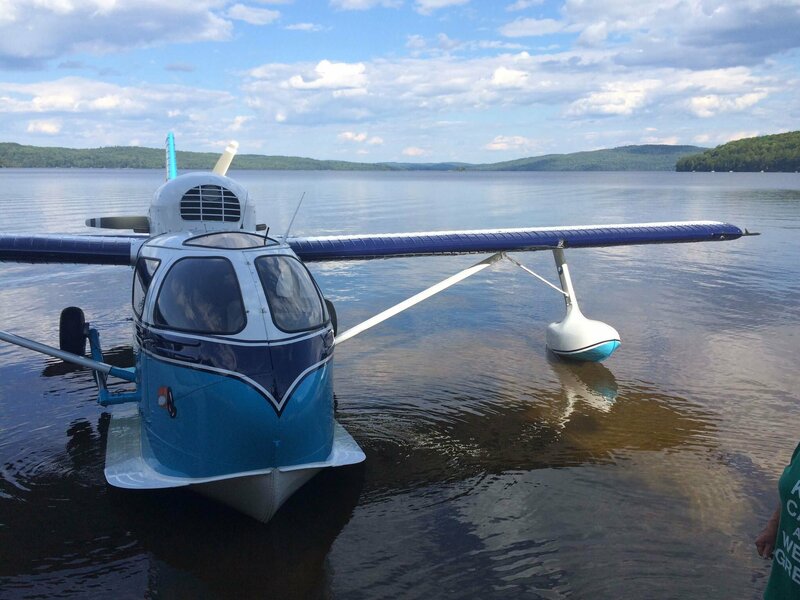 Are you or someone you know in the International Republic SeaBee Owner's Club interested in an "Autoboat" made from two SeeBee Flying Boat Hulls? 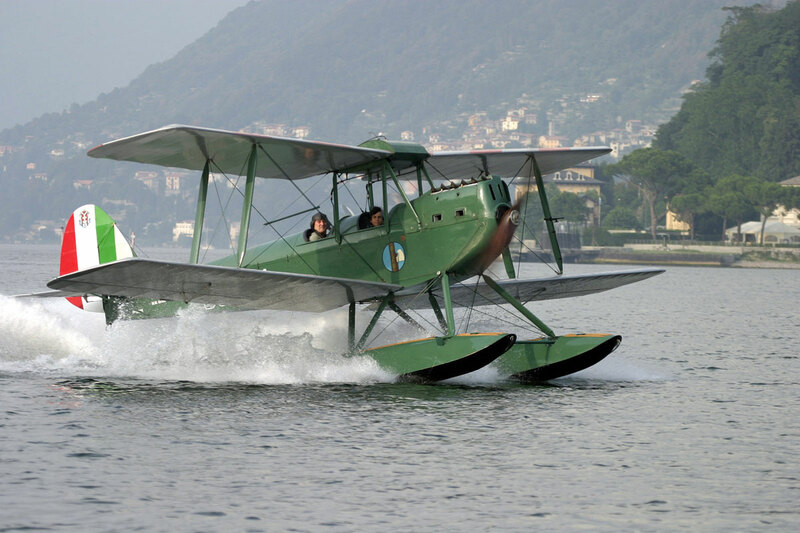 The Autoboat was invented by my late father, John Brush, as relayed in the news article below. Since my father recently passed away, my brothers Jay, Burke and I are looking for a new home for this unique piece of SeeBee History. 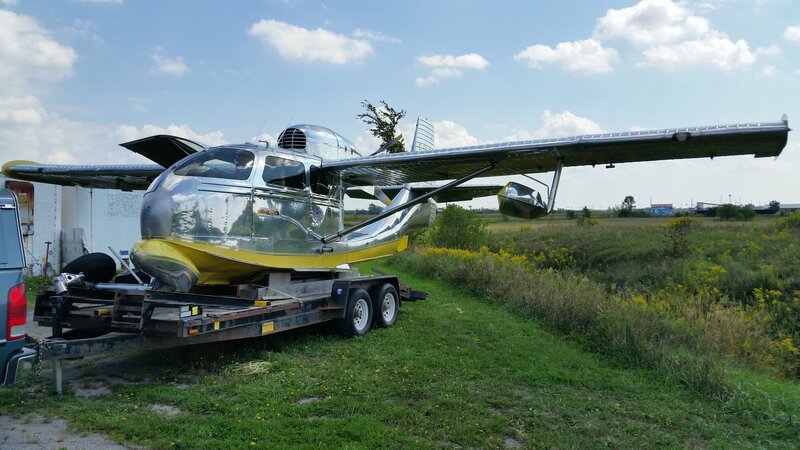 We are looking for only a nominal sum ($950) for both the car & hulls which make up the Autoboat, as our primary goal is finding someone who appreciates SeeBee's and their unique use in this invention. 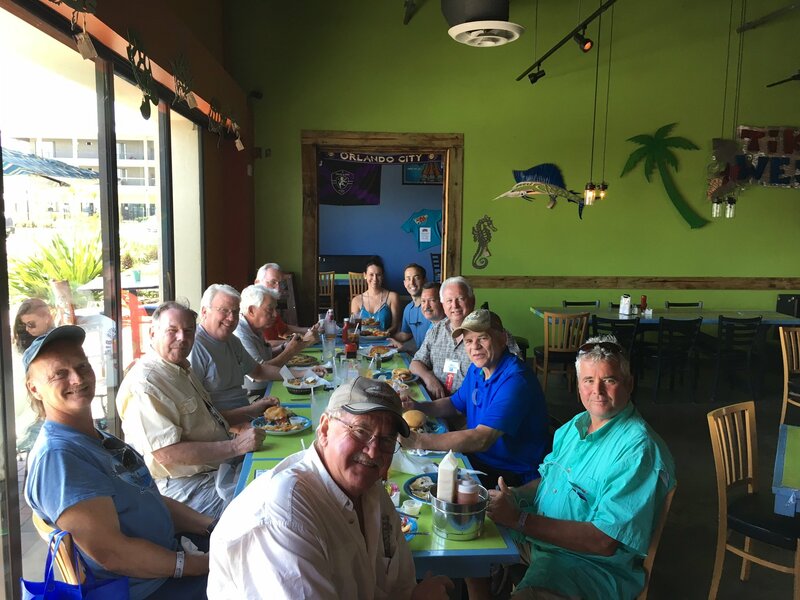 Please let me know by phone (281 687-9400) or email (gsbrush@sbcglobal.net) if you or someone you know in the SeeBee Club may be interested, so we can work with you to arrange a new home for the Autoboat. 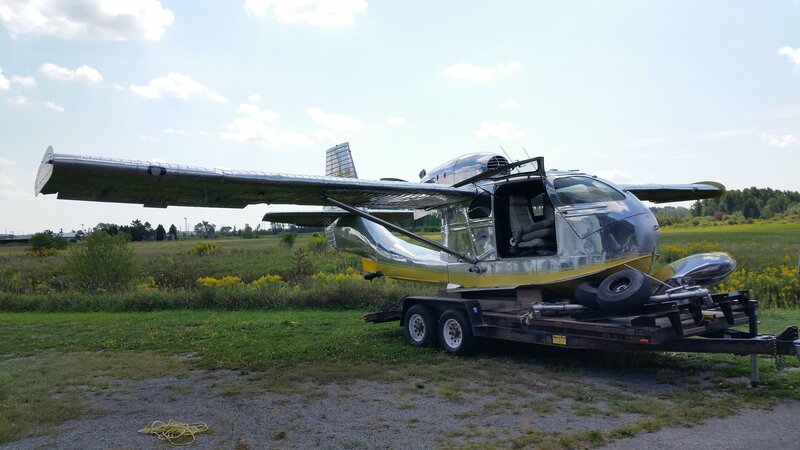 Fyi, the Autoboat is currently at my father's house in Cincinnati, Ohio. My brother Burke lives in the Cincinnati area, Jay lives in Inman, SC and I live in Houston, TX. Also, please see attached pictures of the Autoboat, a text version of the newspaper article noted above and copies of the Autoboat Patents. Thank you for taking the time to touch base with your club members on this request. 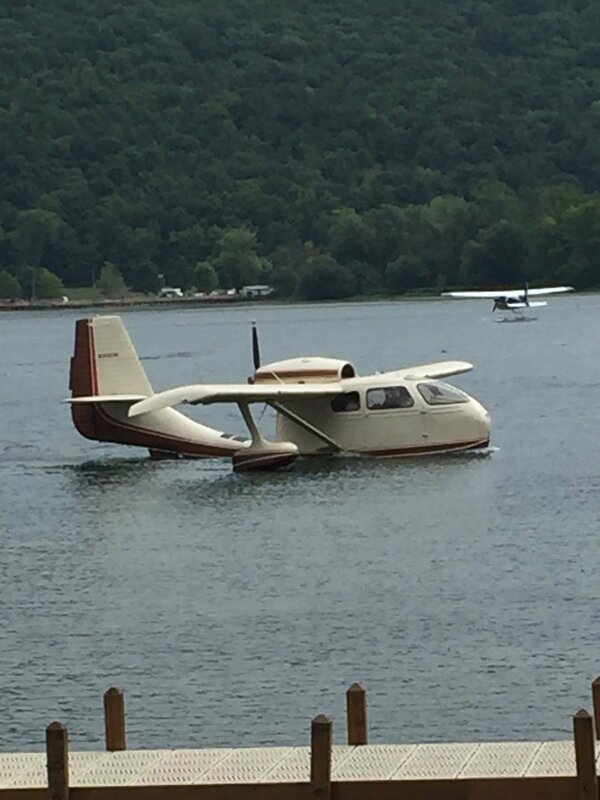 Here is probably the weirdest contraption cruising the Ohio River . 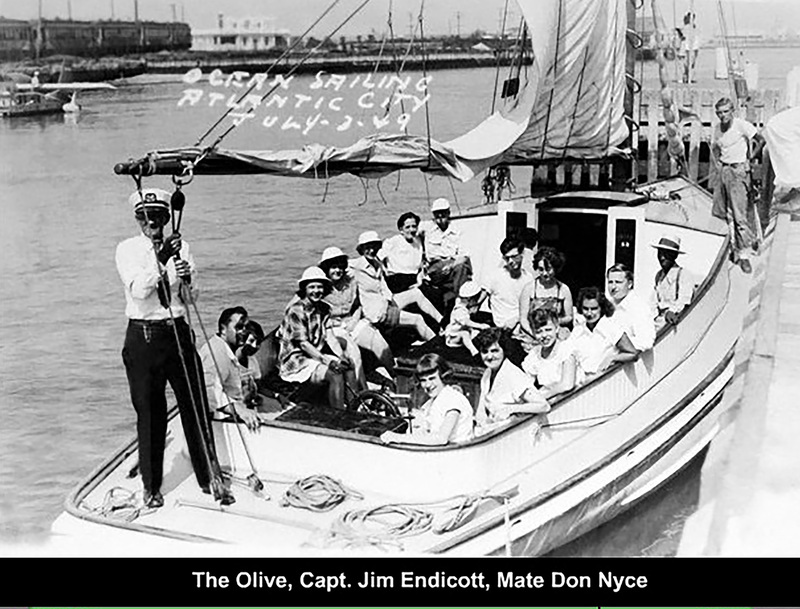 It is the Autoboat (later named the Autamaran), the brain child of John Brush from Cincinnati, Ohio, while he was in a Japanese prison camp in the Philippines during World War II. The idea for the craft came from conversations with a fellow prisoner and former harbormaster for the United States Government at Manila. 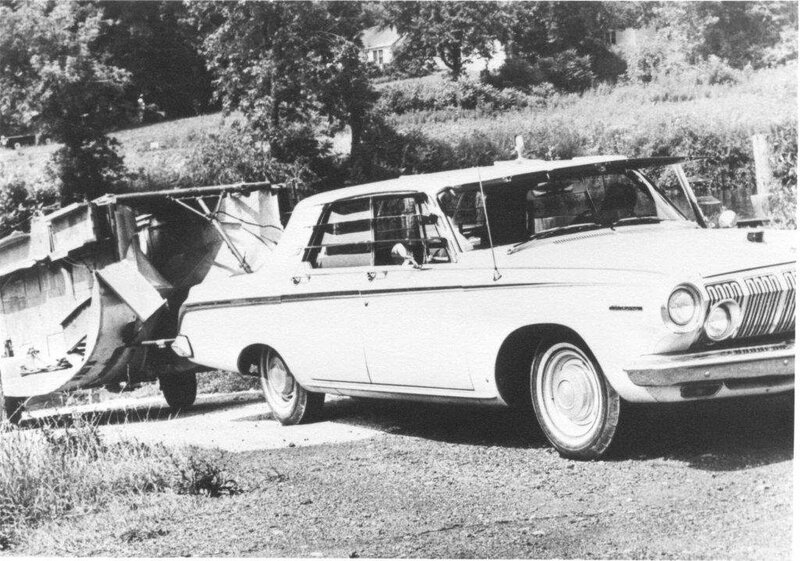 The boat-auto combination is lightweight and easily trailer-able on the highway. 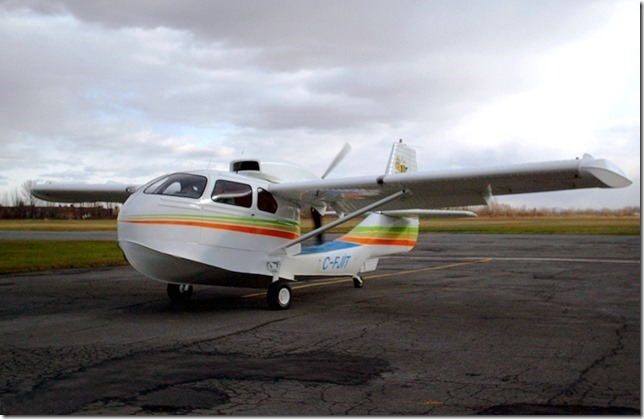 It can be launched and removed at any beach or launch ramp accommodating outboards. 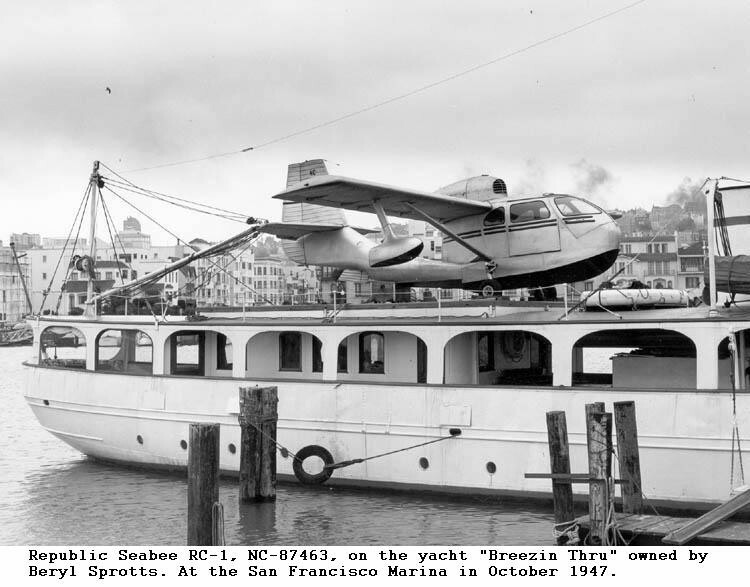 John Brush, a mechanical engineer with Procter & Gamble Co., purchased two non-flying WWII See-Bee flying boats for their hulls in 1955. 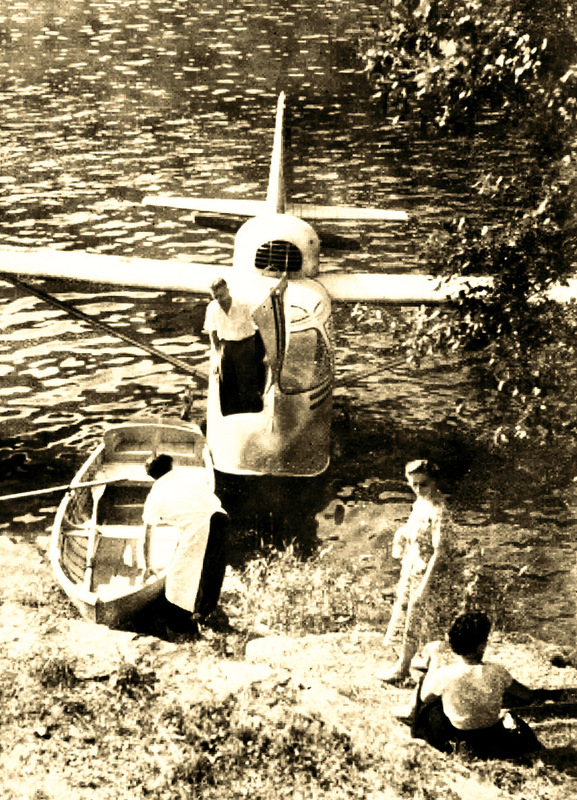 After the cabins and several feet of the tail section had been removed, the hulls were modified. 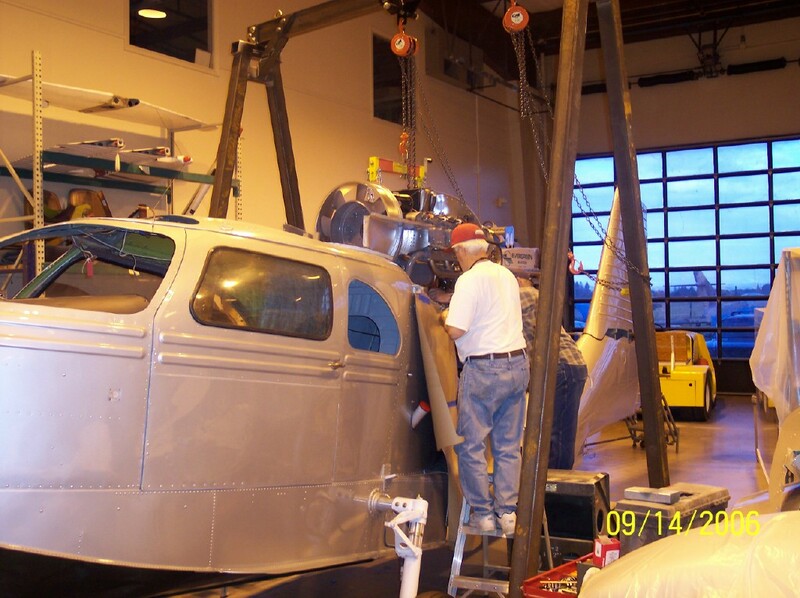 Next, a frame of steel tubing was designed to connect the two floats, and ramps for the car wheels were fabricated from high-tensile aircraft aluminum sheet. 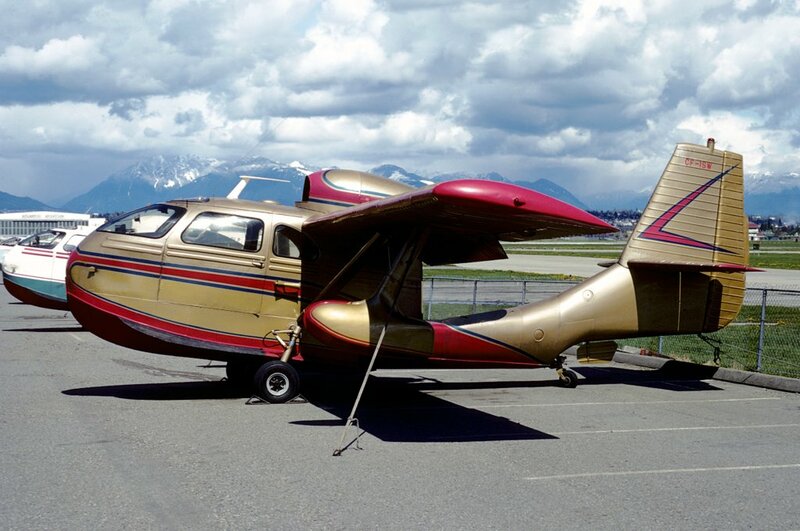 The See-Bee landing gear wheels were altered and remounted, one on each float, for towing on the highway. All aluminum parts were riveted and all steel tubing welded. 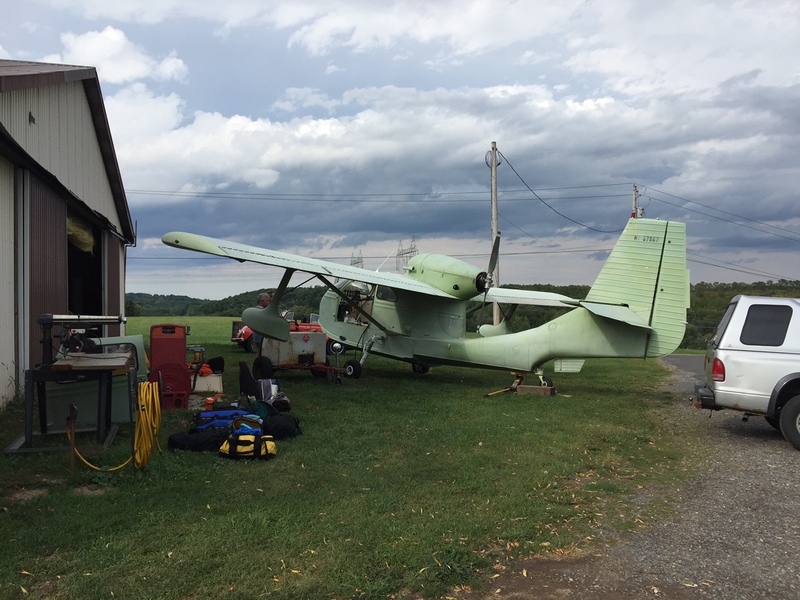 Another Cincinnatian, Donald Witte, handled the critical parts of the welding and riveting fabrication that were needed for the desired light weight. 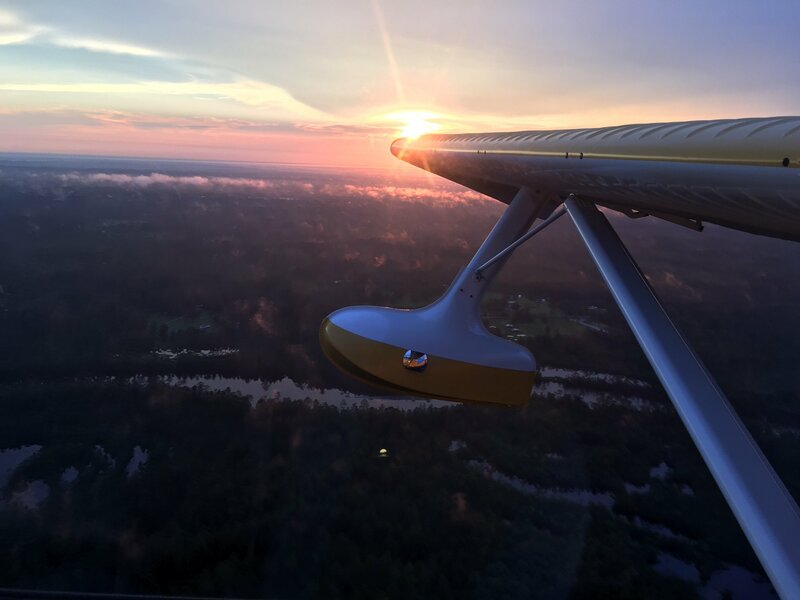 The 21 foot long, 13 foot wide catamaran is folded down and into itself keel-to-keel, so that its maximum width on the highway is six feet, 2 inches. A three-point tractor-type trailer hitch, connected to the major members of the steel tubing frame, joins the car and catamaran for towing on the highways. Its height when folded is only six feet and the car can easily tow it at speeds up to the legal limit of all highways. Launching takes about 15 minutes. 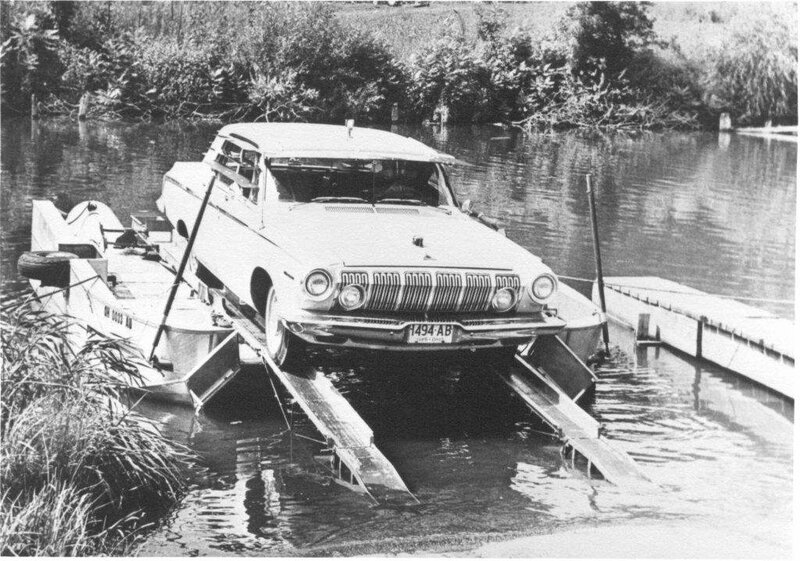 Similar to any outboard launching, the car backs the catamaran into the water until it floats. 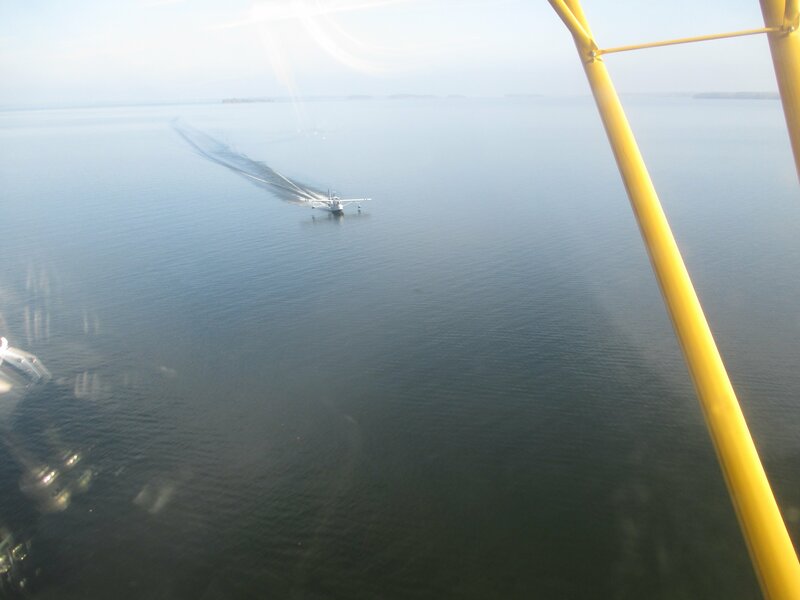 The nature of the hull construction makes it tend naturally to open up to its floating position when the catamaran reached its normal draft of about 18 inches. The trailer wheels now stick out the sides, above and horizontal to the water. Next, a six foot bridge-ramp and a four foot beach-ramp are laid into position from the shore to the front of the Autoboat. Lines are fastened amidships on each side of the craft. Line handlers on the beach steady the craft. The car is then backed up the ramps and onto the catamaran. Wheel-stops position the car exactly. 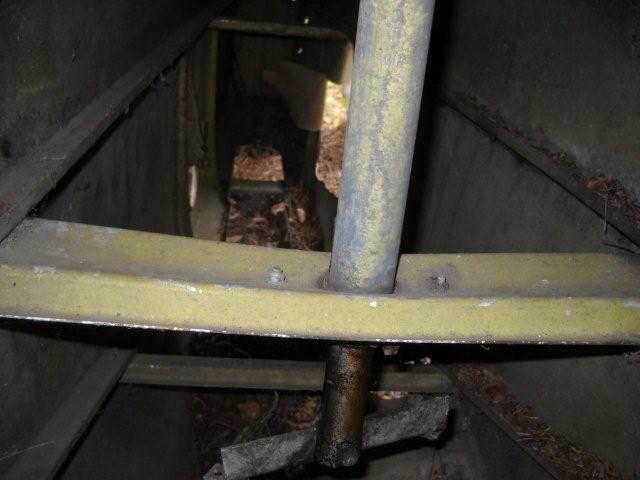 Through a trap door under the rear seat, the drive shaft of the car is then connected to a counter-shaft on the boat. 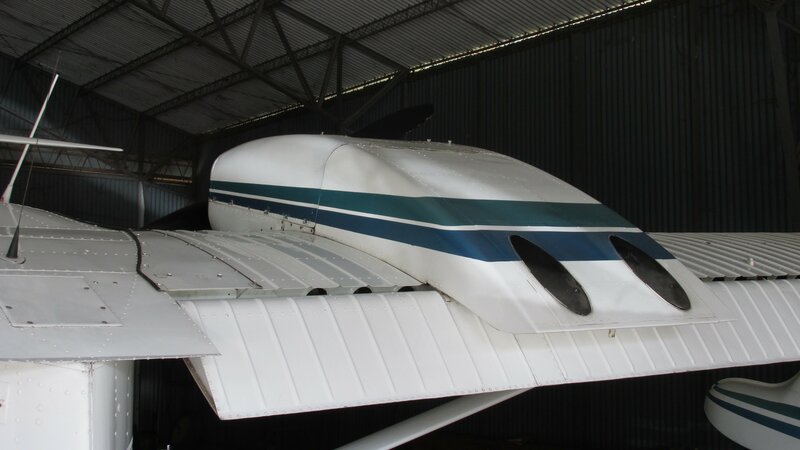 The countershaft drives the propeller through two universal joints. 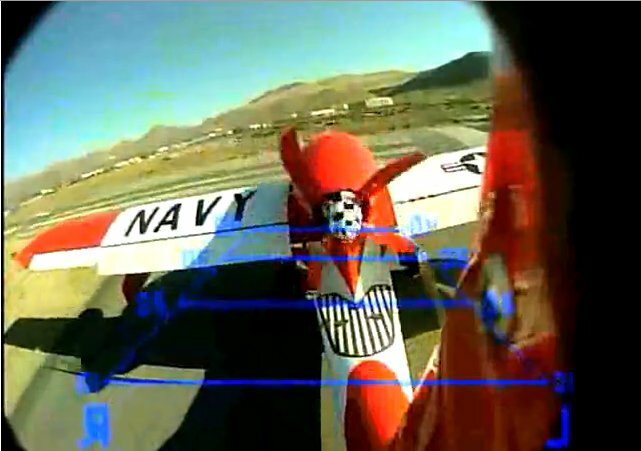 The automobileâ€™s front wheels are now in position on wheel disks that are connected to the rudder by cables. 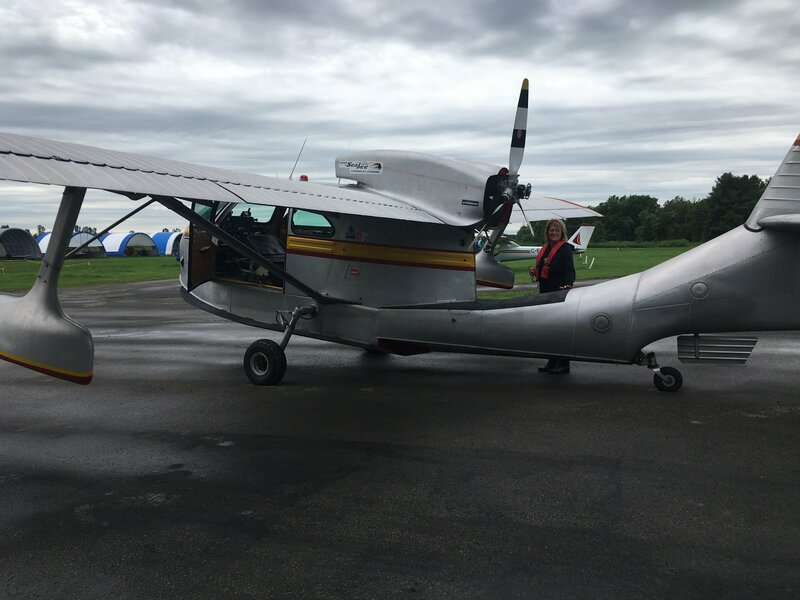 After the ramps have been pulled aboard and tied down, and steadying lines tossed to the pilot, the amphibian is ready to take off. 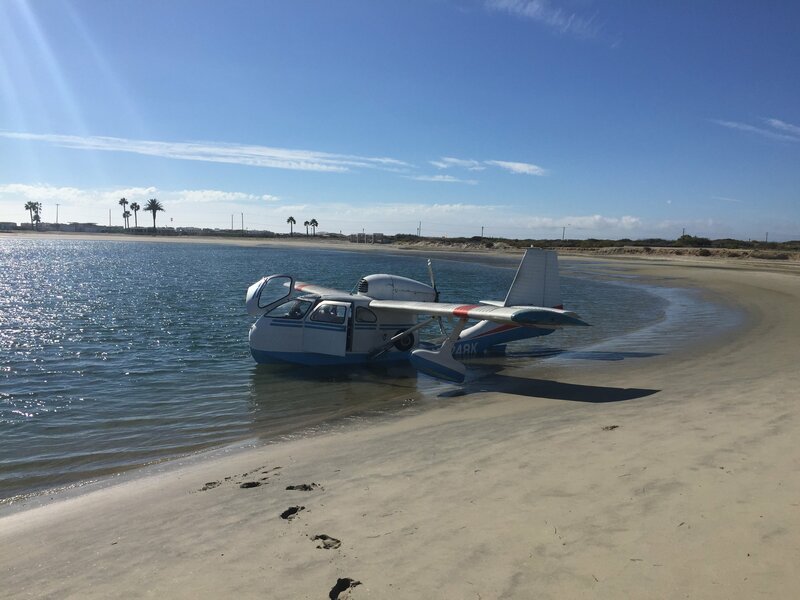 Putting the car in reverse gear backs the craft off the beach and from then on the car is driven up to 25 miles per hour (22 knots). 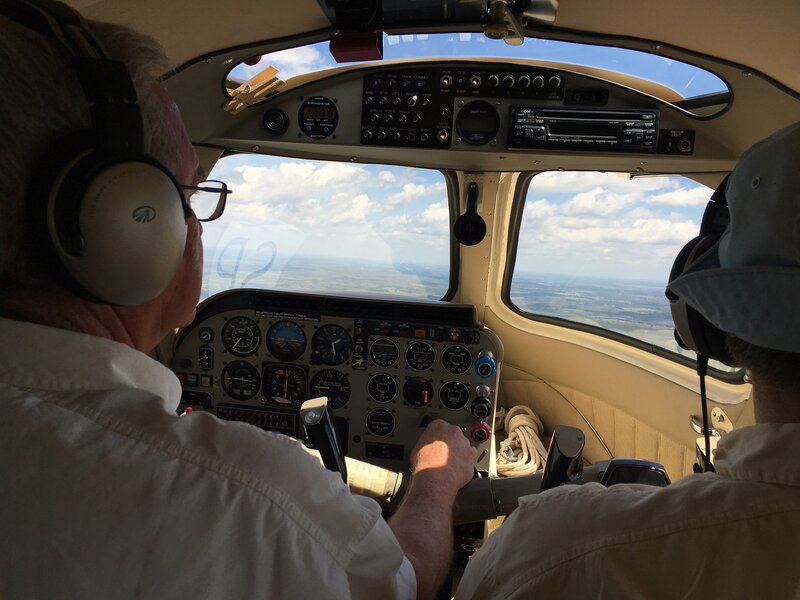 The craft is steered from the driverâ€™s seat. Since nothing has been left on the beach, the driver need not return to his starting point. He can drive up to any shore that will support his car. He then reconnects the drive shaft to the carâ€™s rear wheels. 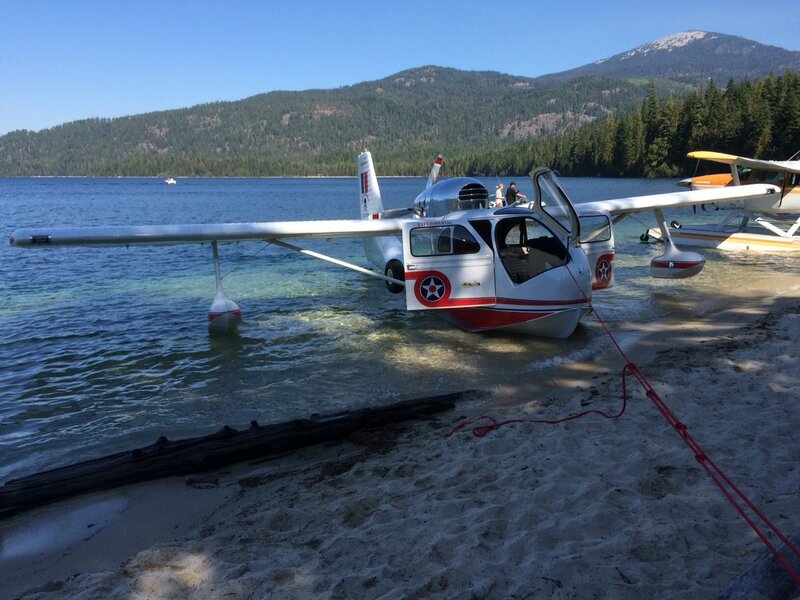 Using the ramps again, he drives off the catamaran and onto the shore. After disconnecting the ramps, he uses a built-in electric winch to fold the hulls back up, keel-to-keel. The trailer wheels now face down, so after connecting tie cables and hooking the hitch back up, the car pulls the boat out of the water. 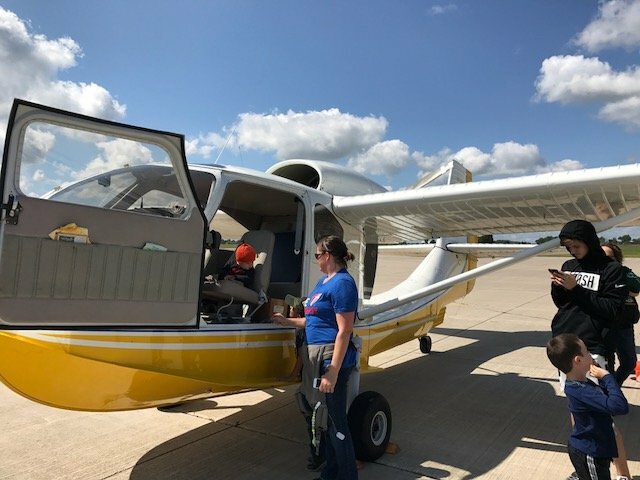 The ramps and other gear are then stowed, and final tie-downs secured. The car and boat are now ready to speed off to the next launch point. 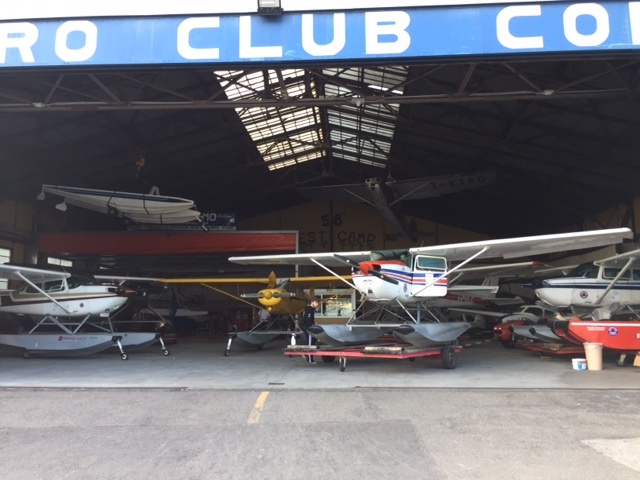 we operate the largest seaplane facility in Europe and the oldest seaplane flying school in the world, founded in 1930 (www.aeroclubcomo.com). 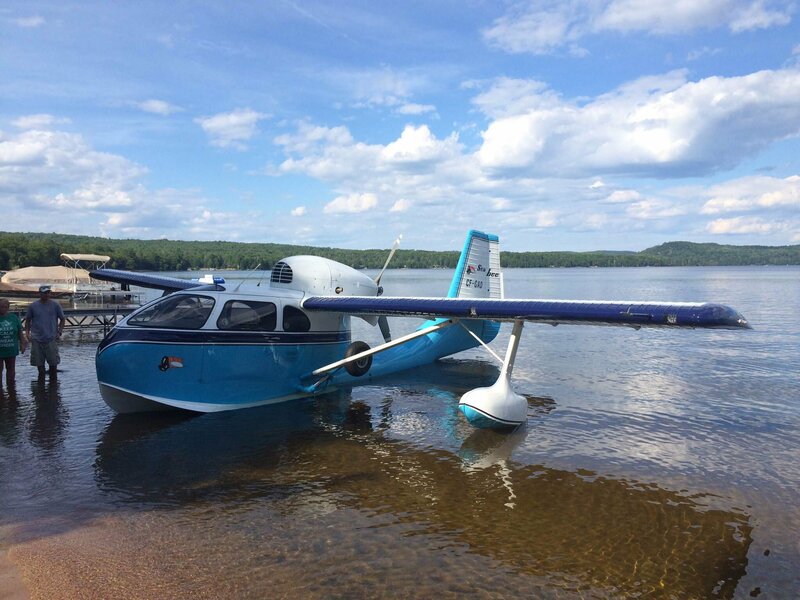 So, we would like to buy a Sea Bee. 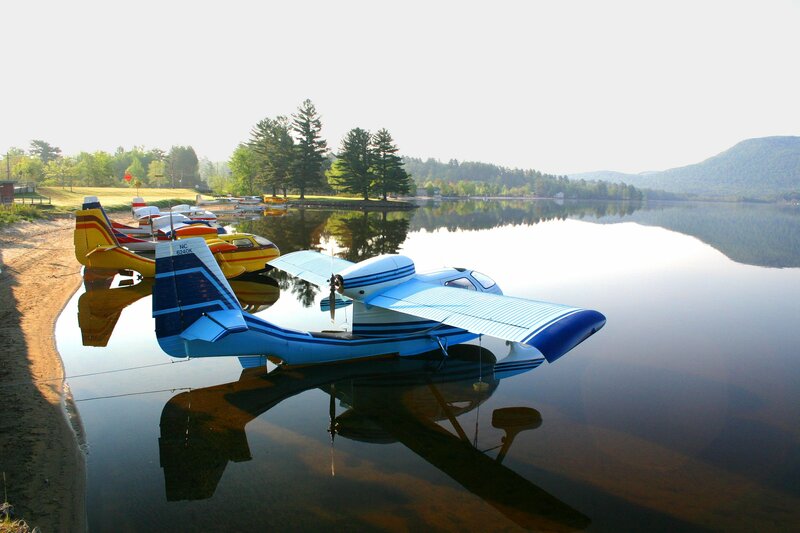 We own Lake amphibians since 1973 and mantain several of them, belonging to European owners. 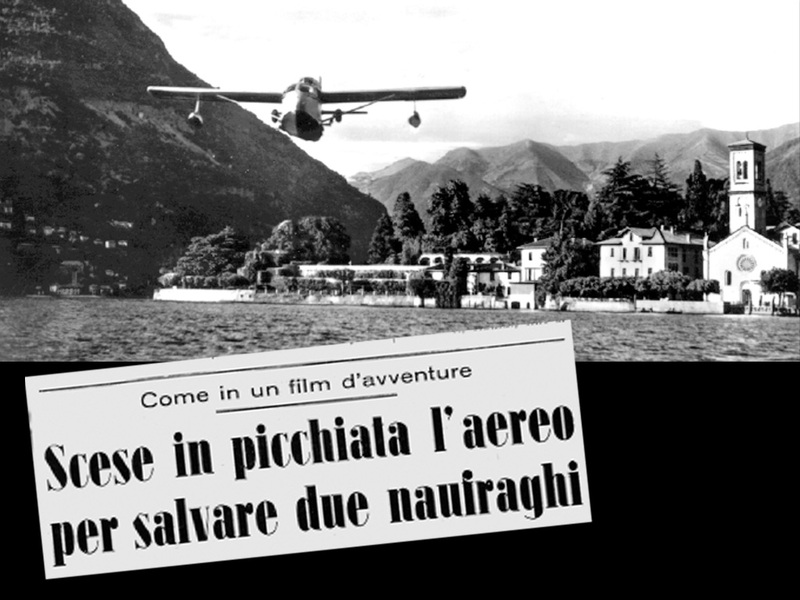 Personally, I have logged ~2000 hours on Lakes and I have written a book on how to fly them (in Italian). But we dont't know much about Sea Bees. That's why I am asking your advice. 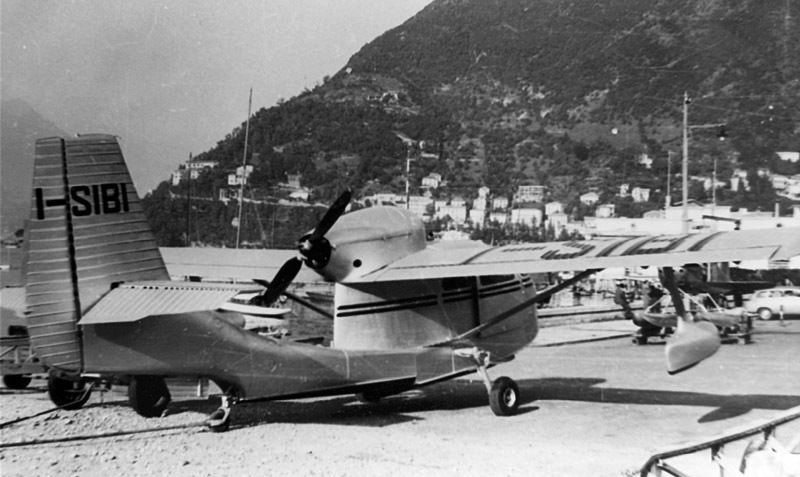 The idea, by the point of view of a collector, would be to have a Sea Bee in its very original configuration (Franklin engine, original panel and instruments, etc.). But our organization has the promotion of water flying as its primary task. 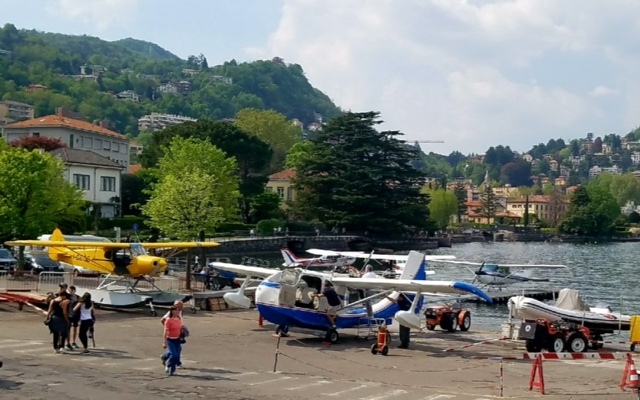 We take every year thousands of people to view Lake Como from above and we sponsor a program to make about 1000 children fly on our seaplanes every Christmas, to tell you about just a couple of our activities. 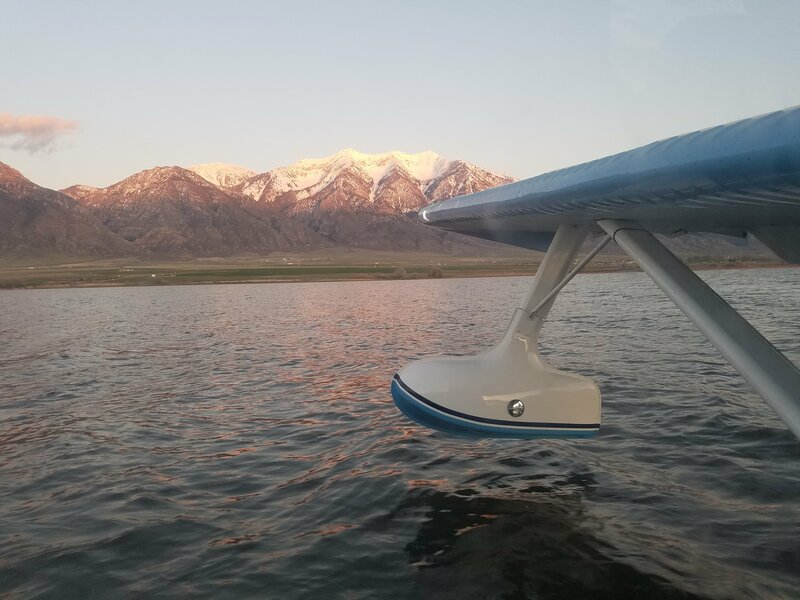 In other words, we prefer to sacrifice the purity of a perfect orignal aircraft in favour of having an aircraft reliable and easy to operate, also to give to the public the opportunity to fly on a historic seaplane. 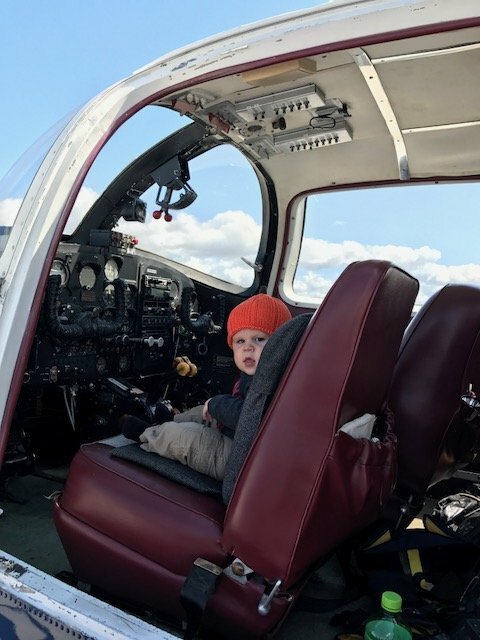 That's why we think that we should buy a Sea Bee in very good conditions with a Lycoming engine, as the GO-480-G1B6 (295 HP look good; 340 look too many for the aircraft). 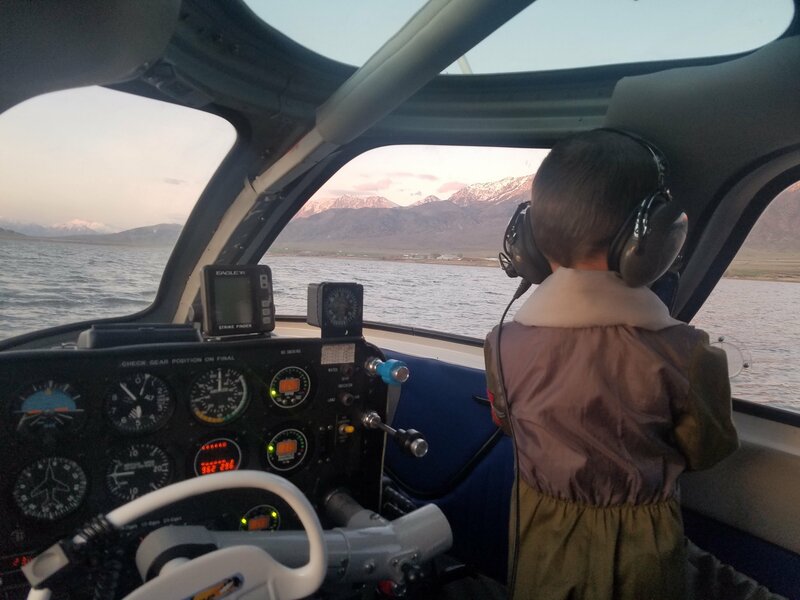 What I would like to know is if Sea Bees as the best offered in your very nice site are aircraft that can be operated safely and reliably, despite the age. If spare parts can be found easily. If ADs, SBs etc, do not pose excessive problems. If an engine as the GO 480 work well. 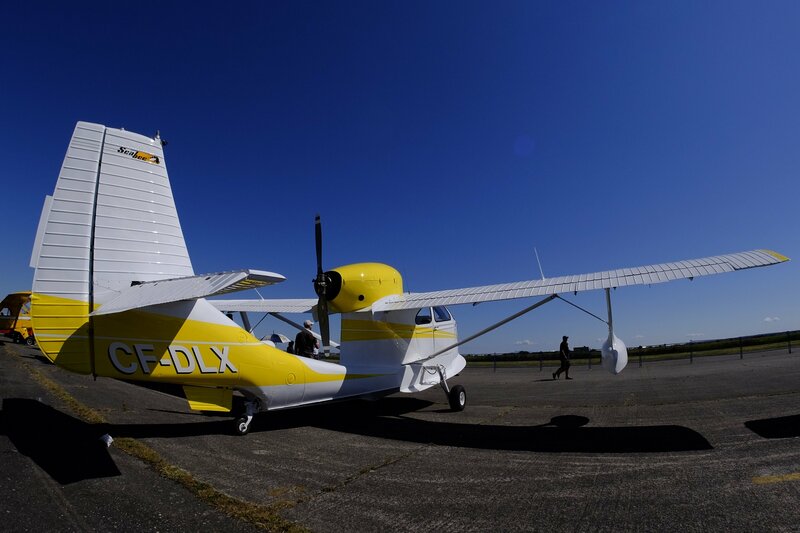 Which modifications and STCs applied on most aircraft of the type are really needed (for instance the wing extention installed on many Sea Bees seems to be usefull in our situation, as we operate regularly on waves and wakes in our very busy waters). 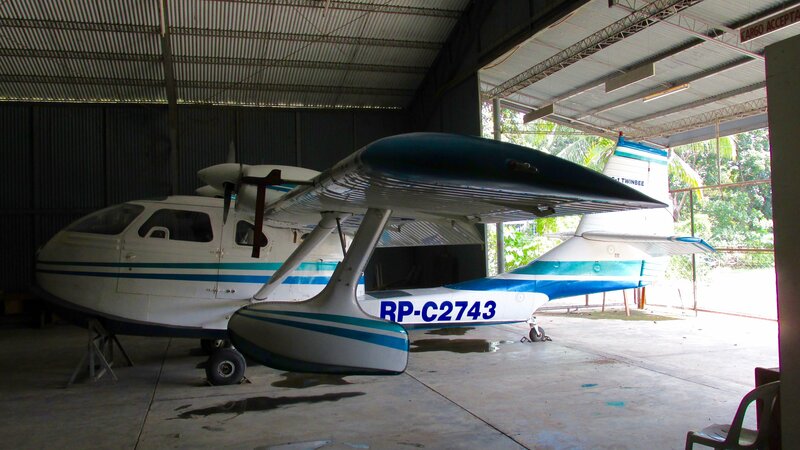 I will be grateful if you can help us in getting familiar with this type of aircraft and give us some suggestions on how to choose one. 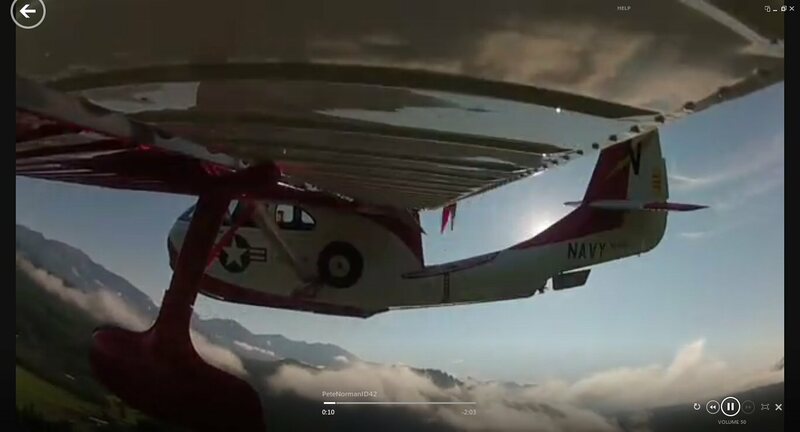 Bruce Bishop flying his new Seabee over the mountains at 11,500'. 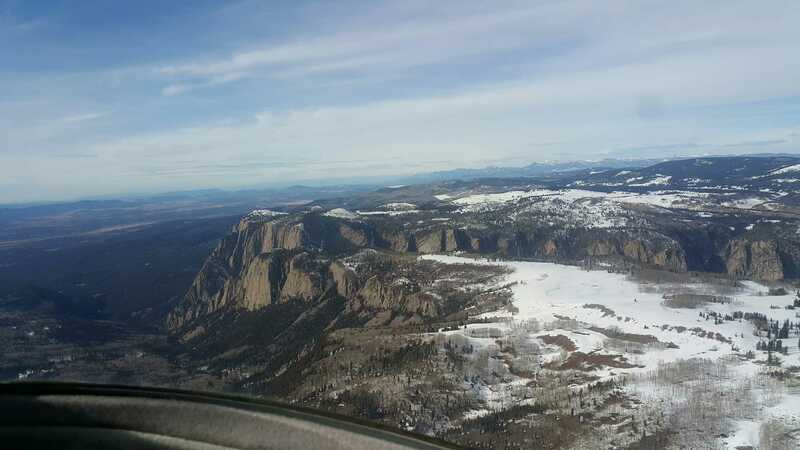 Bruce says: "Those are the Brazos Cliffs near Chama new Mexico taken from N6325k on a flight from Taos (SKX) to Durango (DRO). We were at 11,500." 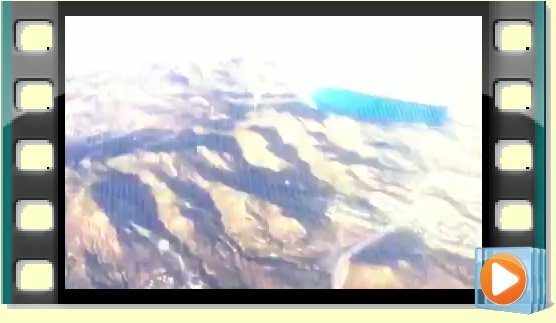 Who says Seabees can't fly over the mountains? Anyone know what this is? Yes we do! 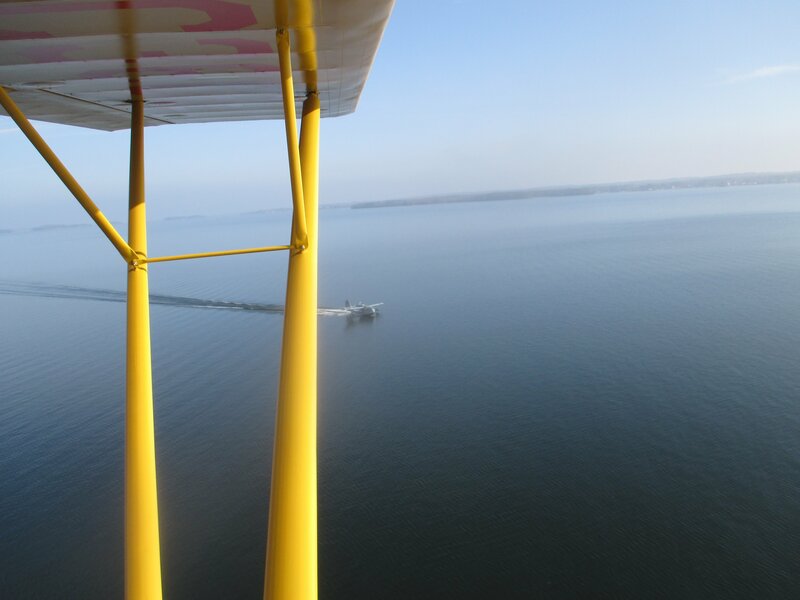 Another view of the Seabee on a boat...different boat. Photo courtesy of Bruce Hinds. Thanks Bruce! 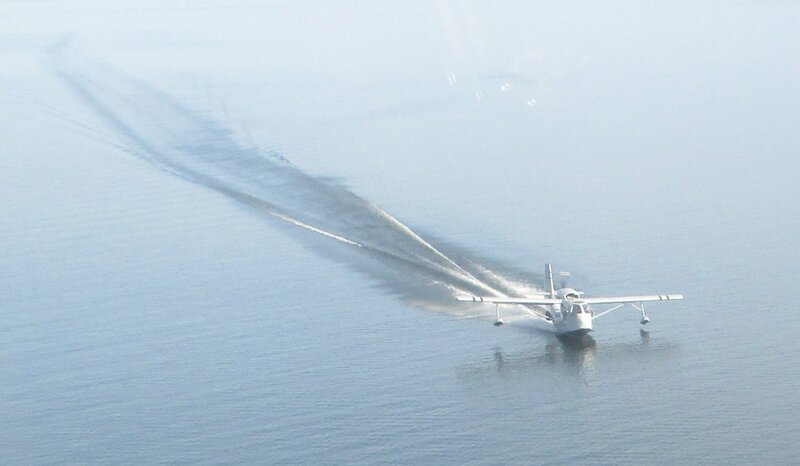 If you have any idea what a Seabee is doing on a boat, let me know! Patrick McCormick sent this and asked the same thing! Email me. 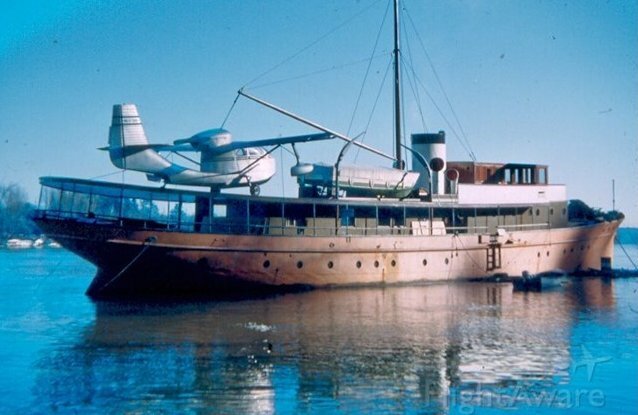 According to Steinar Sevdal's website, that seabee on the boat is N87463, SN 13 and it was the first delivered according to Steinar's website. Member Bruce Douglas took this photo of Wesley at the Annual "Old Glory Honor Flight" fundraiser at Appleton Airport. I thought it was cool enough to ask for your caption! "How did I do Mom!" or "Whew! That was a close one!" Member Eric Huppert at the Beach! Somewhere in Florida. Photo by Eric Huppert. Nice shot Eric! 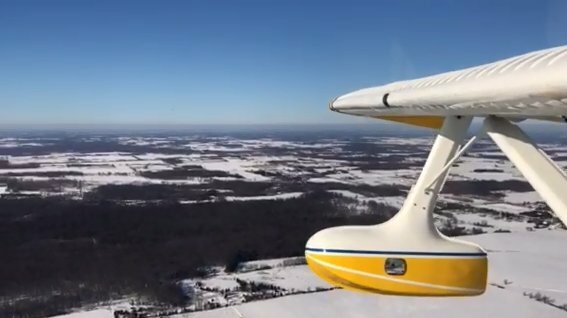 the ideal sportplane, climbs over a Wisconsin lake. 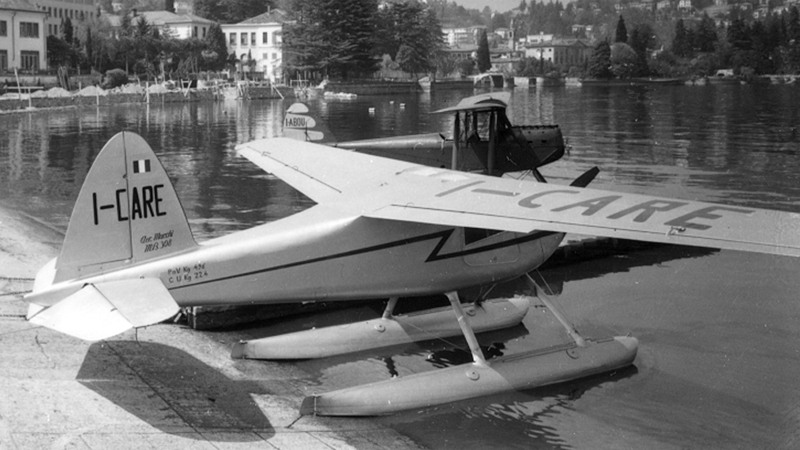 "How do we explain the continuing popularity of a 1940's-era seaplane? 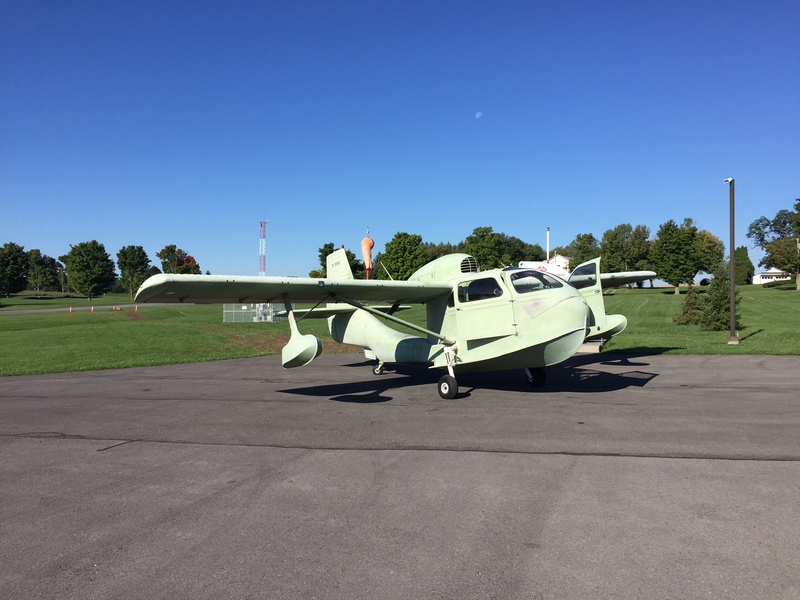 An article in the latest issue of Air & Space/Smithsonian confirms what we’ve known all along: The Republic RC-3 Seabee is pure fun. 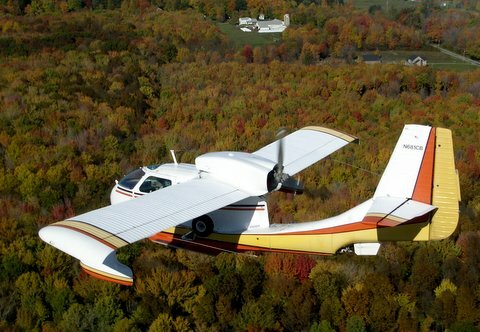 Robert Bernier, who wrote the story, remembers his flight in a Seabee at age 10, and he interviews Bee owners (including me) about what makes this airplane unique and why it inspires such loyalty in its owners. The issue is now on sale. You’ll want to keep it." 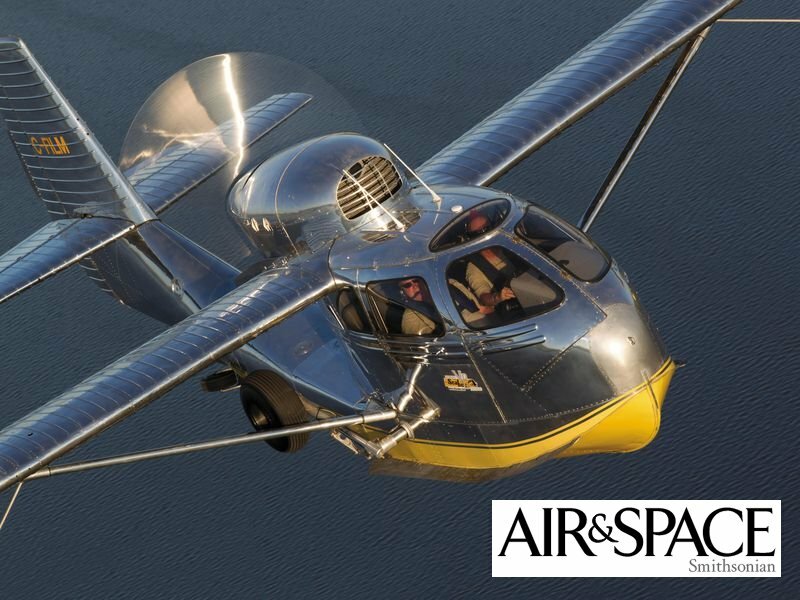 Subscribe to Air & Space here!! 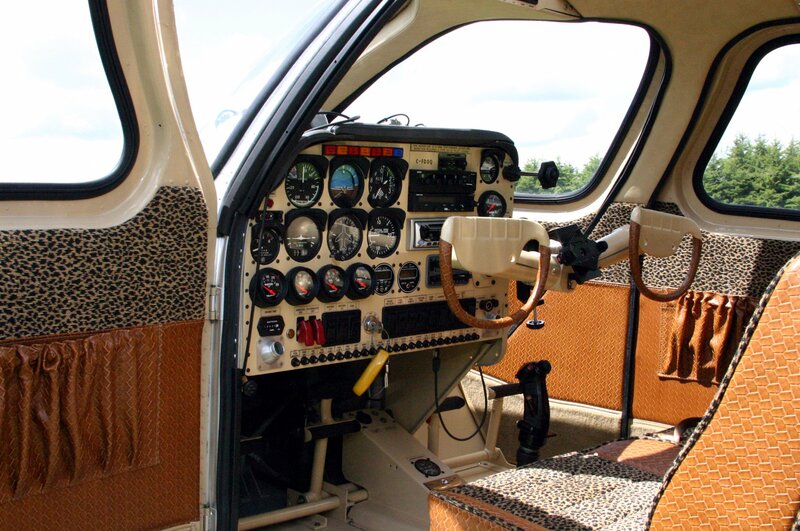 "A flying machine in which it is practically impossible for the operator to suffer injury in case of accident. 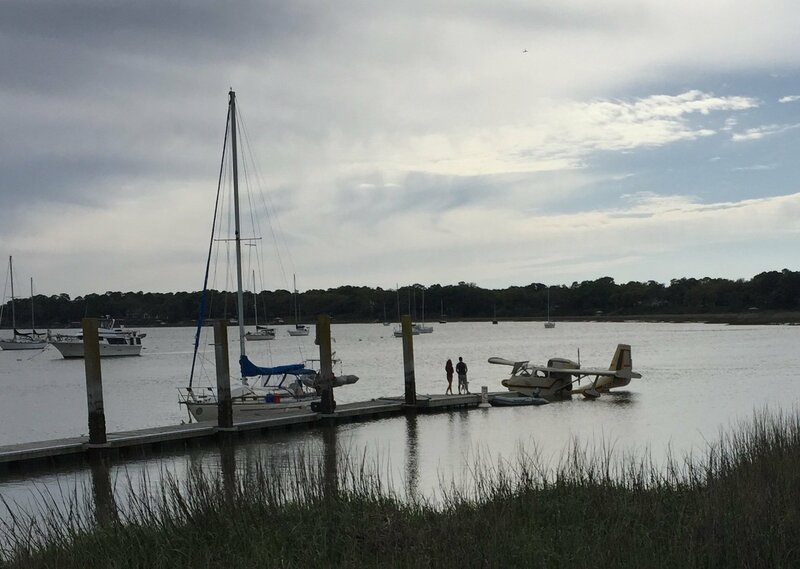 Even in the worst kind of accident, the most that can happen to the operator is an exhilarating plunge into fresh or salt water, as the case may be, with the beneficial effects of a good swim if so desired." 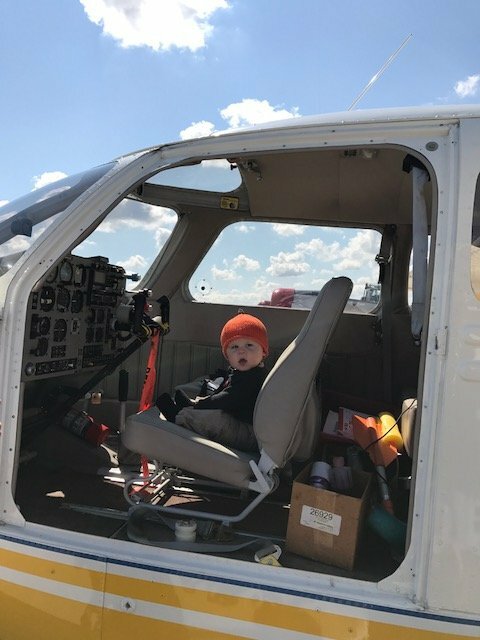 Member Jaren Lynn in an ideal spot! 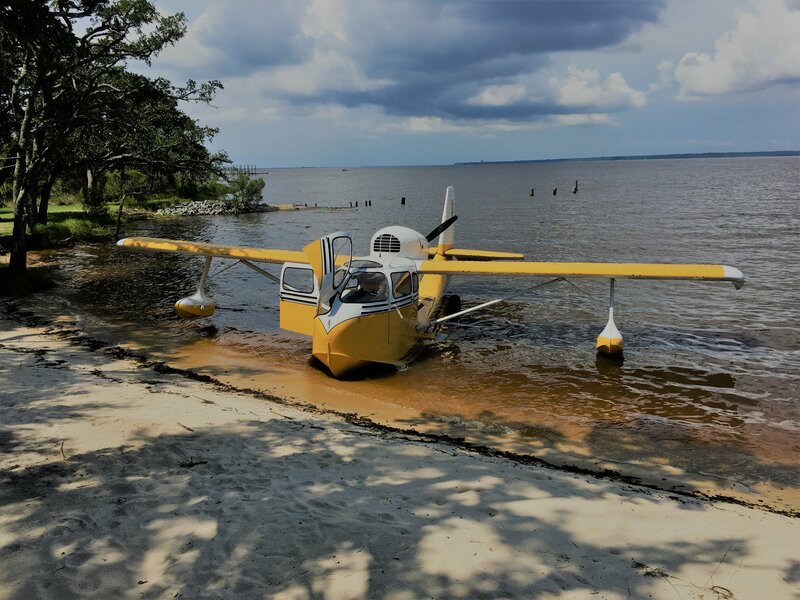 Looks like a perfect day of Seabeeing! Member Mark Dimmock has done it! The restoration of CF-DLX is complete. It looks terrific! Mark and friends have been working on DLX for two years (must have been non-stop!) Great job Mark! Bruce Douglas in the great white north with NO heater! Member Brian Robinson explains what happened. All are okay. Read his explanation here. Yes, they will rebuild! 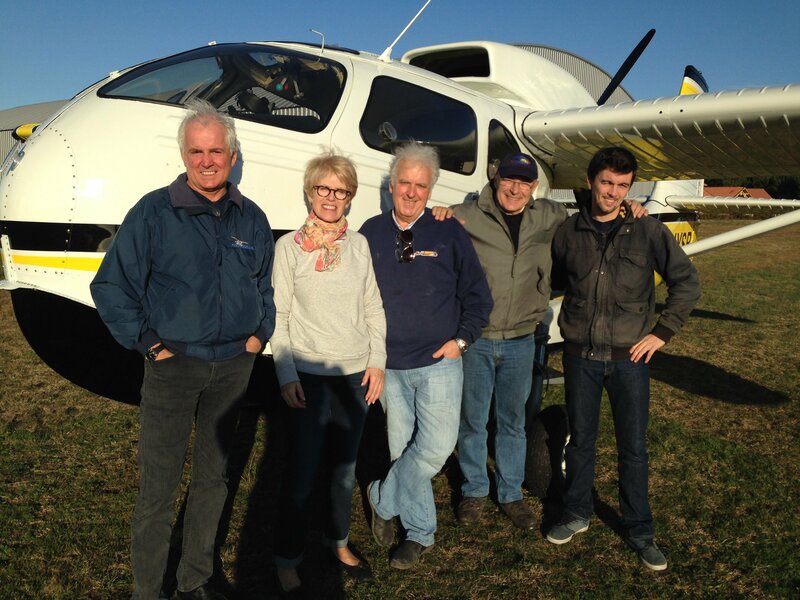 Richie Brumm, KC, Mellisa Tello (in the Seabee), Donna Lee, Karen Brumm, ? ?, ET, Bill Bardin, ?, ?. 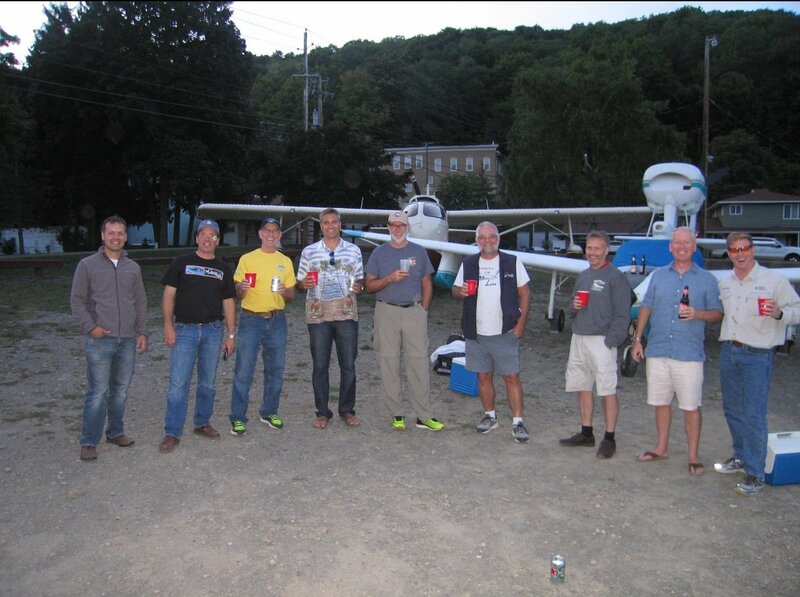 Hammondsport 2016 took place last weekend (September 17-18) and was a big success. 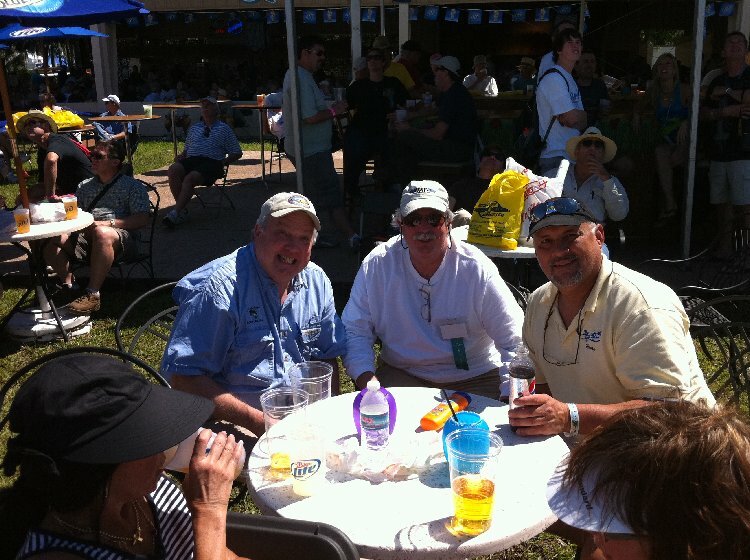 Members Bill Bardin, KC Ostronik and Ed "ET" Tello represented the Seabee community. 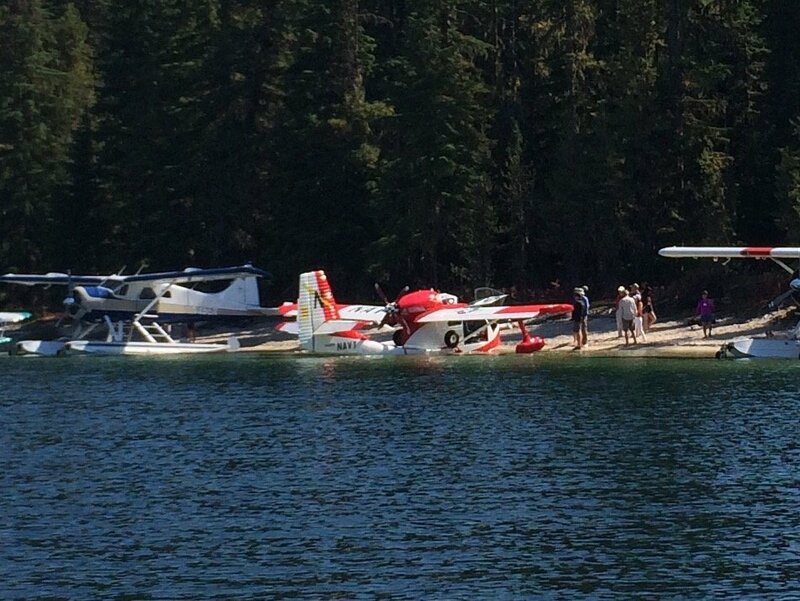 Other seaplanes were in attendance as well but three Seabees is a pretty good showing. 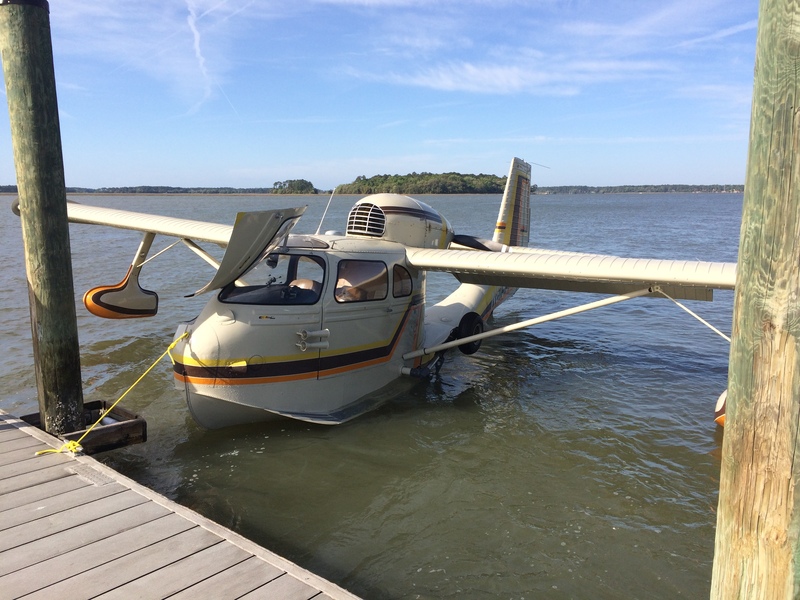 Four Seabees showed up at Tavares April 7, 2016. 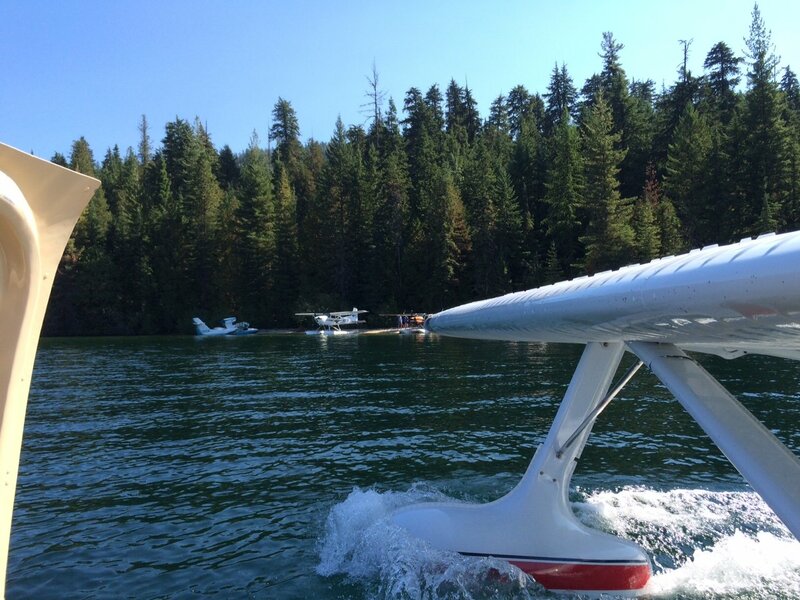 Great time at the perfect seaplane base! Photos by Bill Bold and waiter at the Tiki Bar. Bill Bold, Gerry Belcher, Scott Vanderweel. Gee, I wonder who was winning! See Josh's video here! Thanks Josh! See video here. Great job! Tres bien! 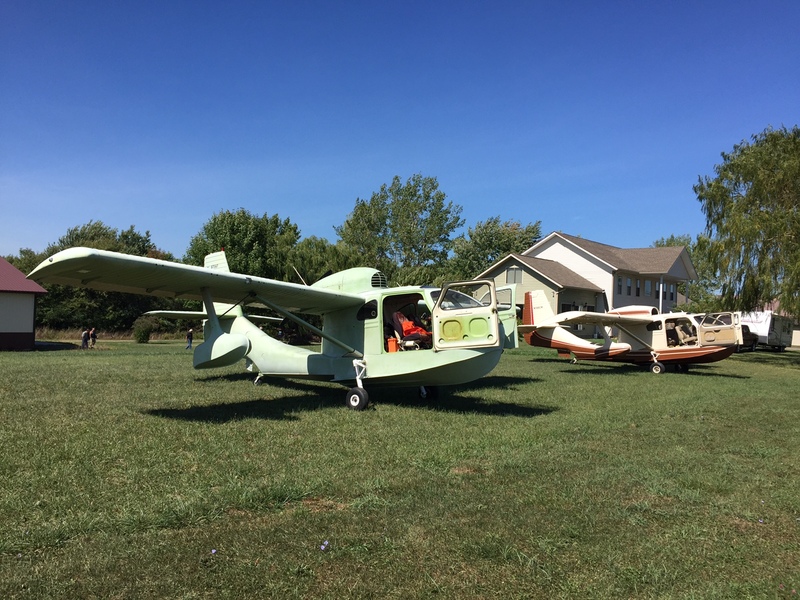 Jean-Luc and his Club in France just finished putting this Seabee together. 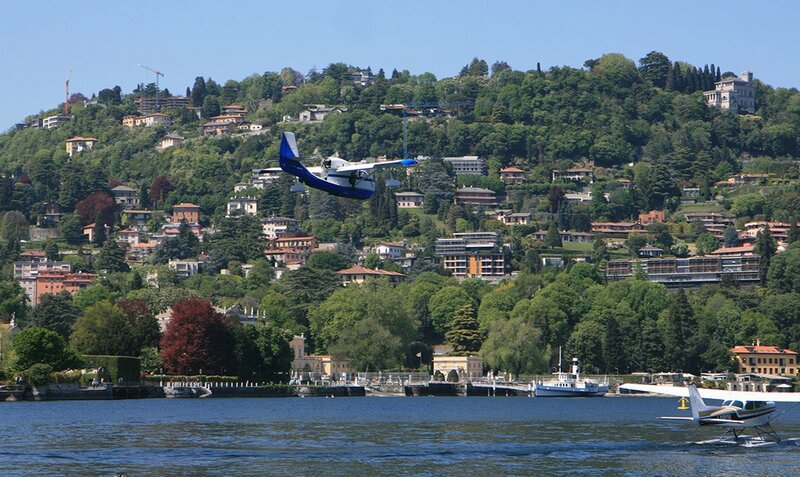 From what I understand, it is part of the Seaplane Flying Club in France. Congratulations Jean-Luc! 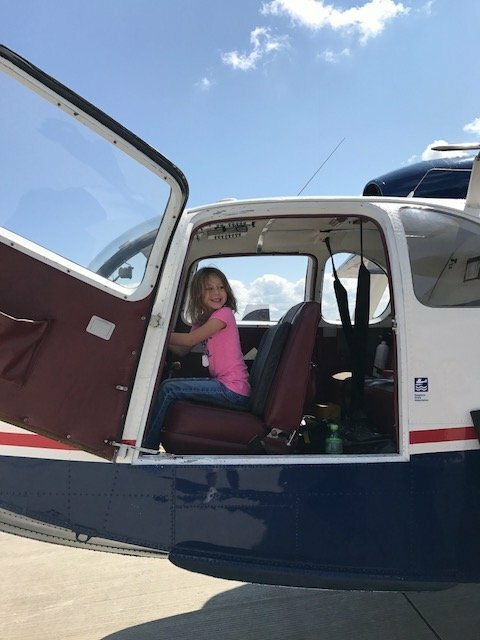 First flight was January 23, 2016. Jean-Luc and his crew. 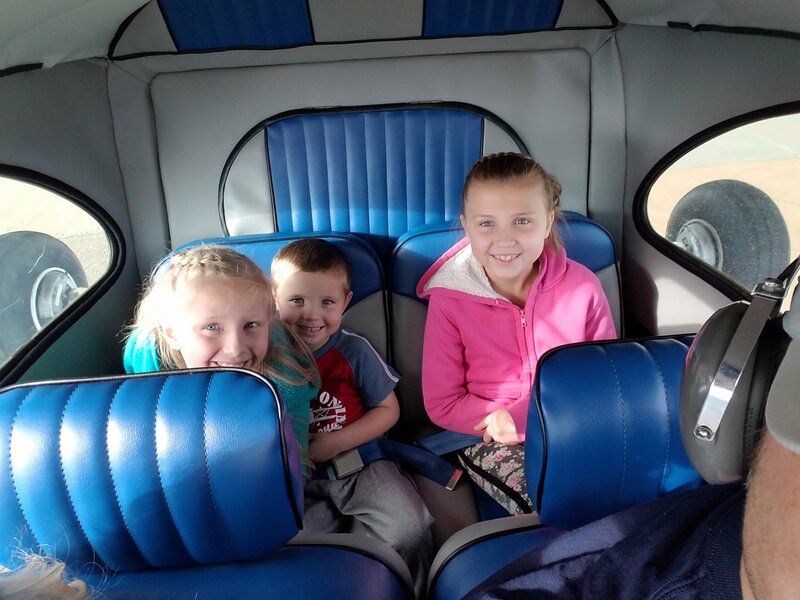 They all have that distictive Seabee smile! Member Buzz Hale's "Thunder Bee"
All photos by and courtesy of John Cuny. Thanks John! 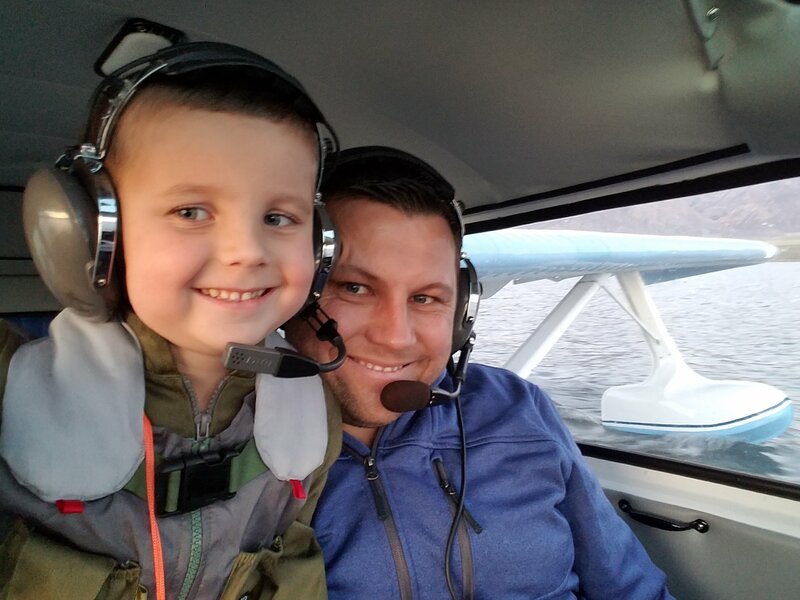 Member Henry Chapeskie is flying again! 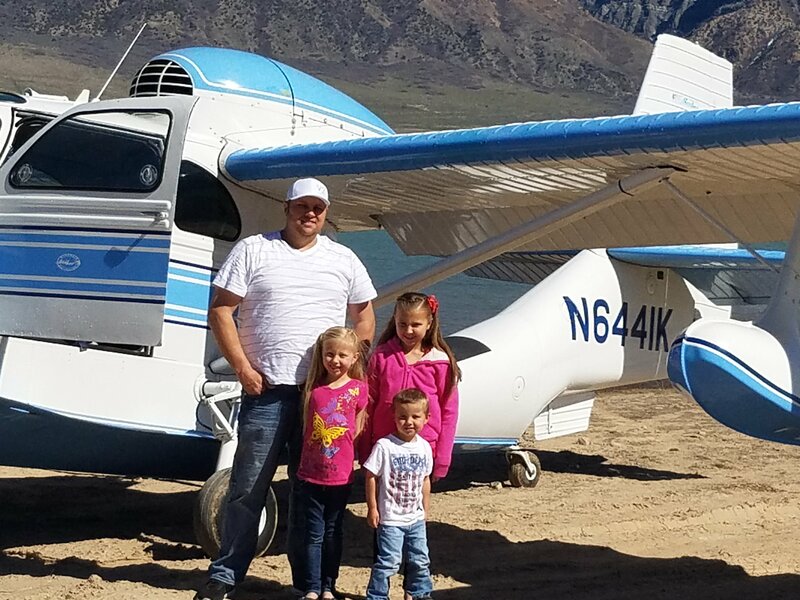 After an emergency landing that damaged his Seabee, Henry Chapeskie has his new Seabee flying. He says he has about ten hours on it and it is running fine as indicated from the photos below. 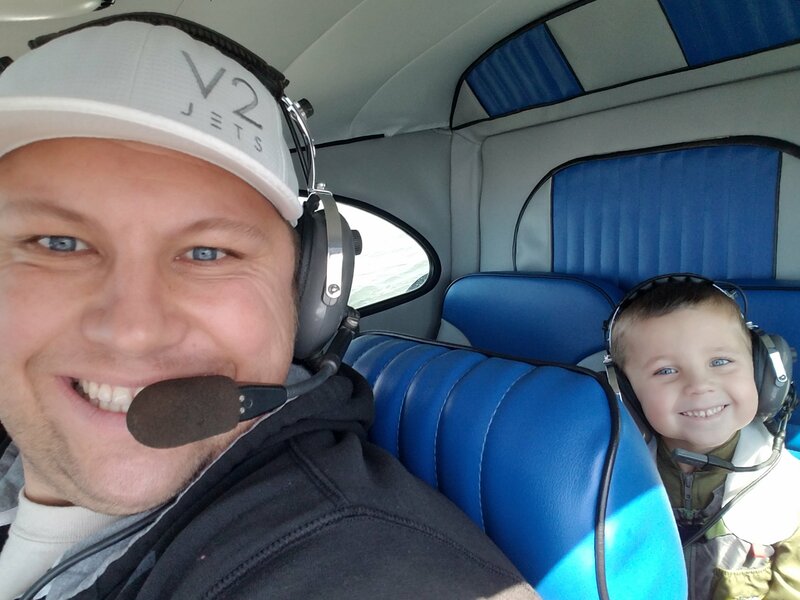 We are glad to have him back in the air. 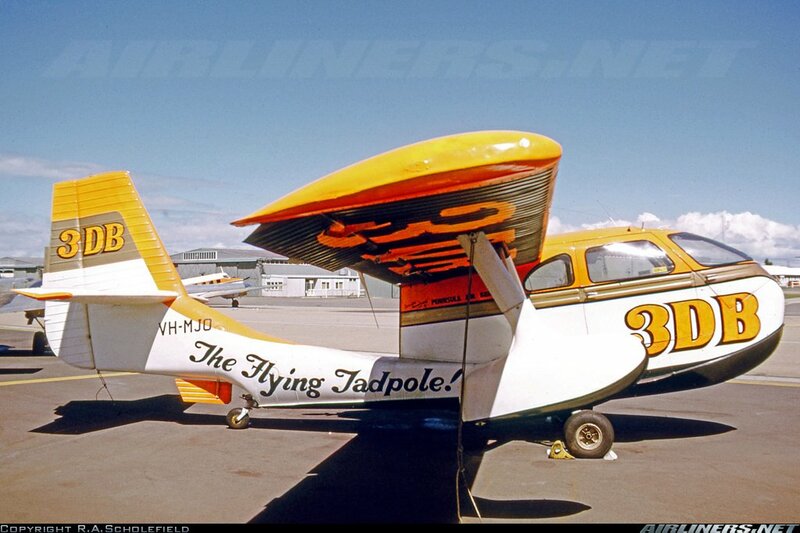 Especially in a Seabee! 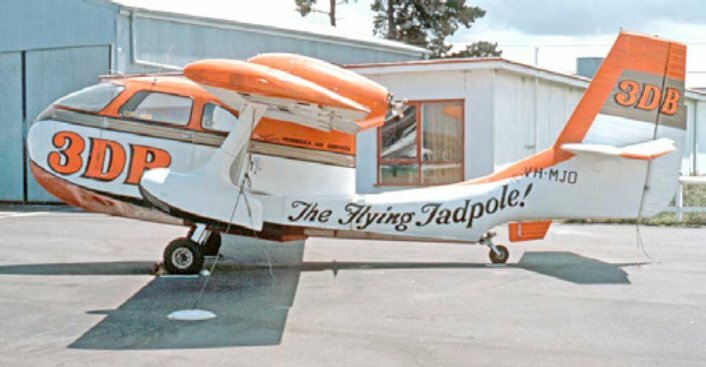 The Flying Tadpole was used to advertise for a radio station in Australia and to spot for sharks! That was years ago but Howard Frankenburg remembers. Thanks Howard! "Hi Steve, Well done excellent work my friend ! It's a big Thank you to you and your club this little plane is etched in everyone's mind around summertime in Melbourne in the seventies it holds huge memories not to mention potential shark attacks to warned of to protect beach goers.This plane, to people of my vintage, was as recognisable as " CocoCola " we all knew the flying tadpole.Thanks again mate I will keep in touch with interest and follow your site. If I get any news on this Aussie icon I will pass it on. Thank you. Kind regards from down under, Howard"
Member Mike Lush sent these photos to us. Thanks Mike! Prices are $10 less than posted rates. 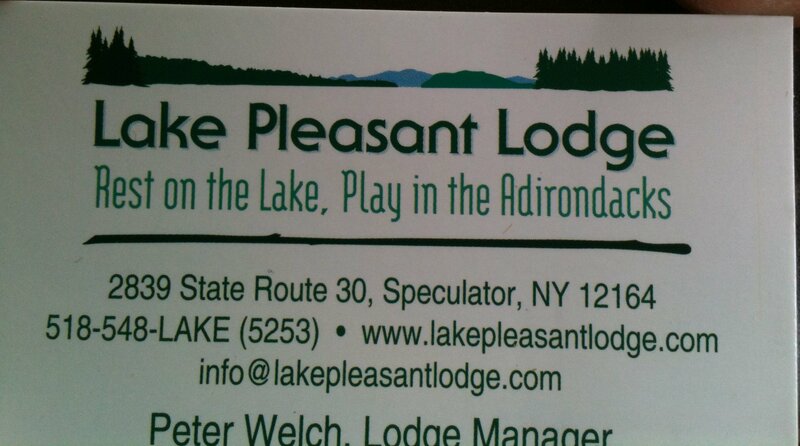 Lodge manager is Peter Welch, phone # (518) 548-LAKE (5253). 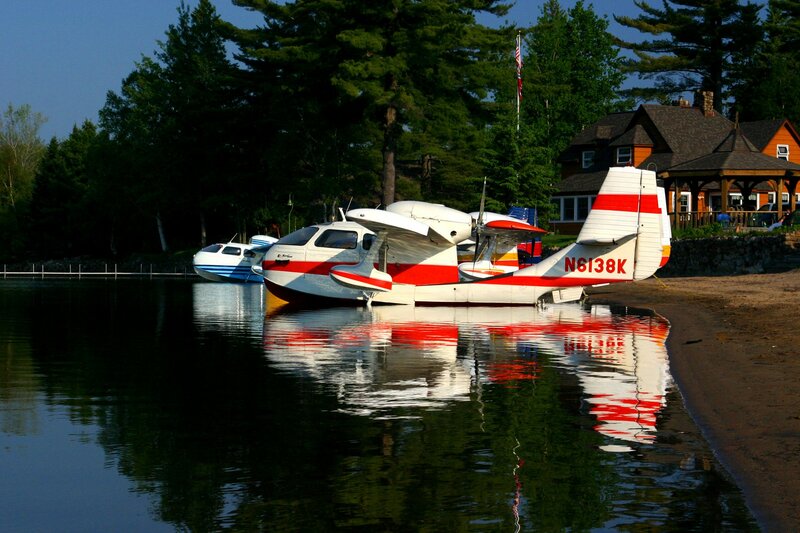 www.lakepleasantlodge.com, info@lakepleasantlodge.com. Please let me know, so I can make proper plans. I also attached a photo of their business card. My name is Shea De La Mare, and I am currently trying to find some info that you may be able to help me with. 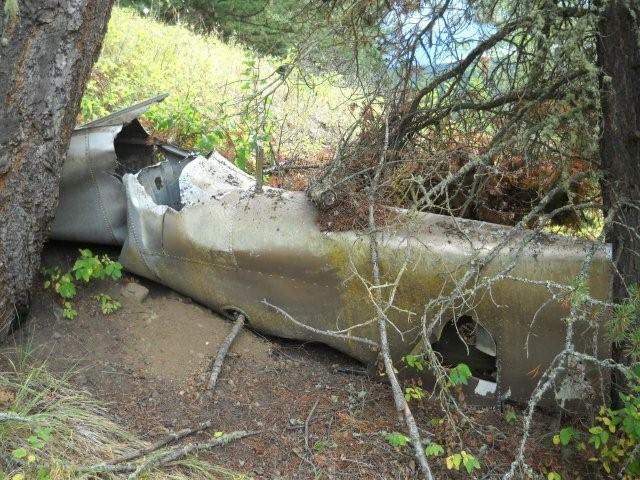 I as recently hiking in central british columbia, and I stumbled across an old aircraft crash site deep in the woods. 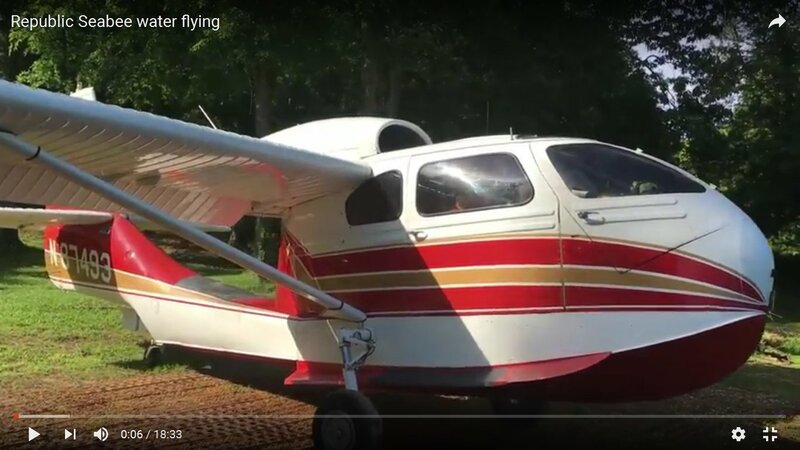 Being a pilot myself, it certainly caught my curiousity, but I am having trouble identifying the aircraft or finding any information about it. 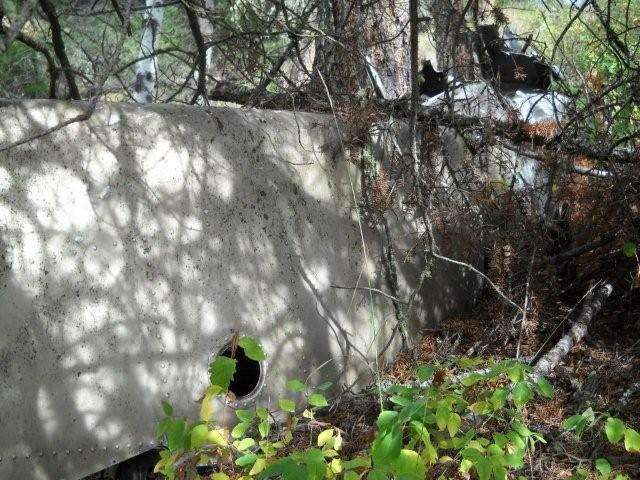 When I first saw the wreckage I had a few clues that led me to believe it may be an old Seabee, but I am not certain. I have asked various local residents about the crash site but have come up empty handed. One old timer thought he remembered something about a crash that took place in the 1970's where 3 or 4 people were killed, but he wasn't really sure. I have tried to search the internet for any information but as far have not located any. 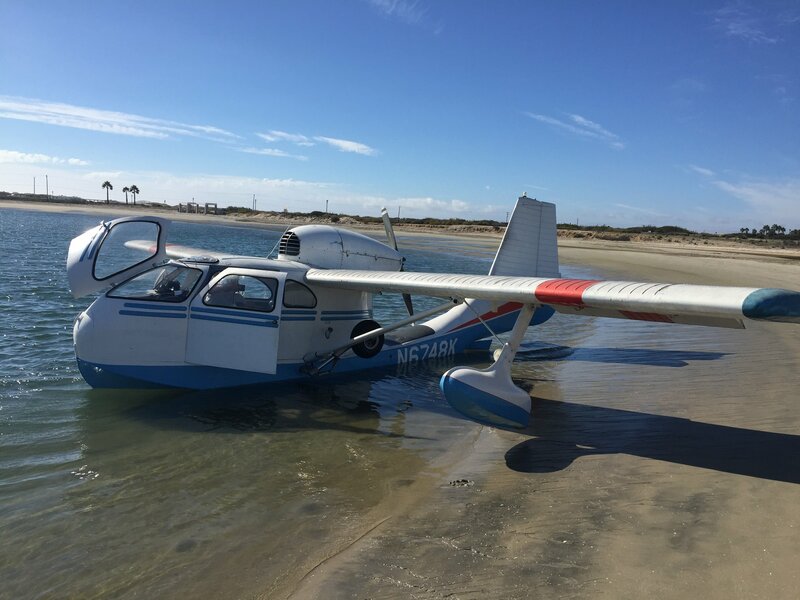 I am attaching a few pics of the crash site as I thought that you may be able to confirm whether this is indeed a SeaBee aircraft? "Hello Shea. 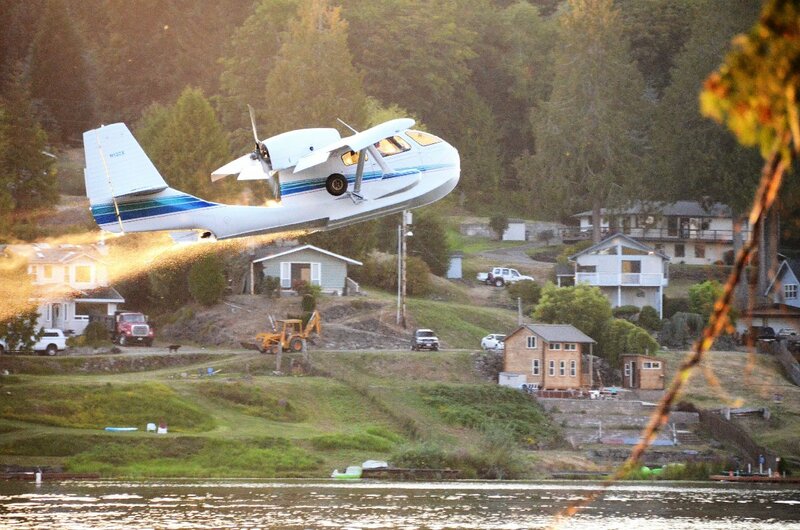 It definitely is a Seabee. 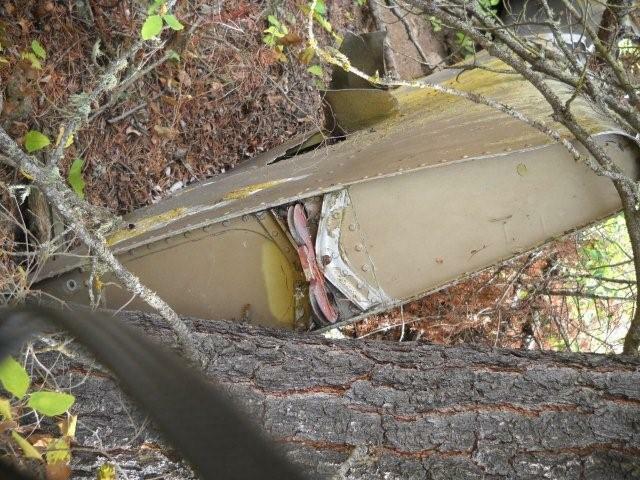 I can't tell you more than that right now, but if you were to find the serial number which is stamped on the keel and all the trailing edges of the flight controls, we could narrow it down and possibly find out about the accident. 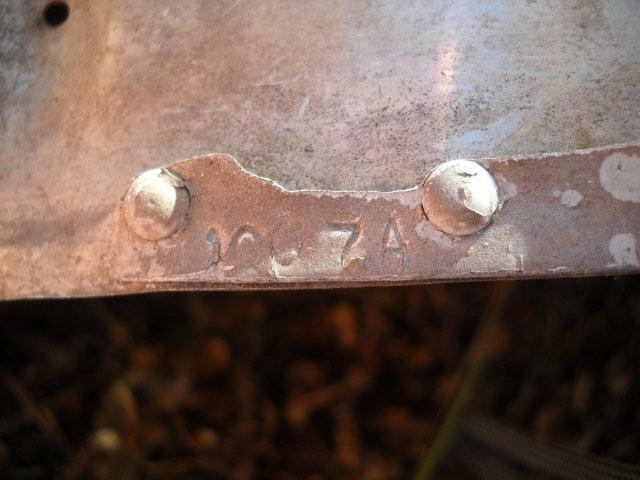 The number is stamped on the keel shown in picture 7 about a foot down from the end, or six inches down from the riveted seam. 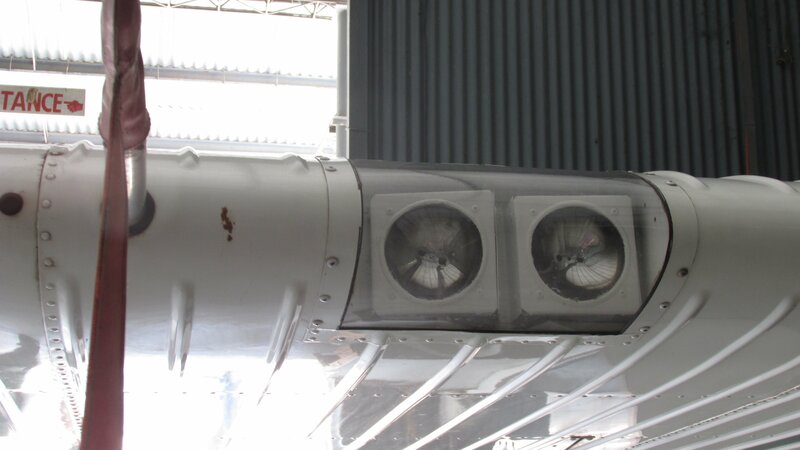 Also it is stamped on the trailing edge of the flight controls near the inboard end. Good Luck! I hope we can get to the bottom of the mystery. 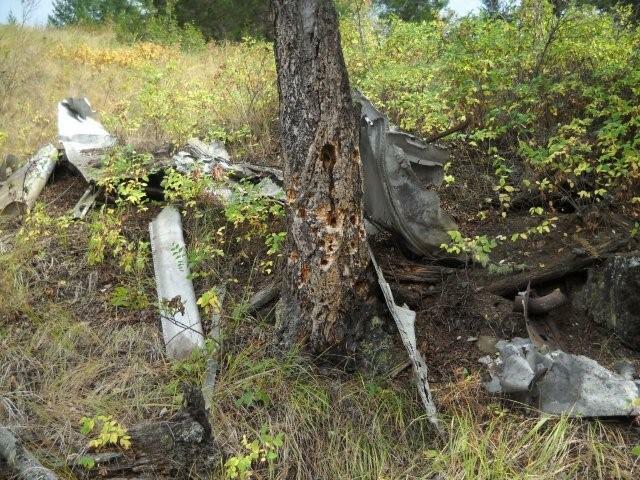 As to our emails of a few weeks ago regarding the mystery Seabee crash site in British Columbia, I have a few more pics and information for you. 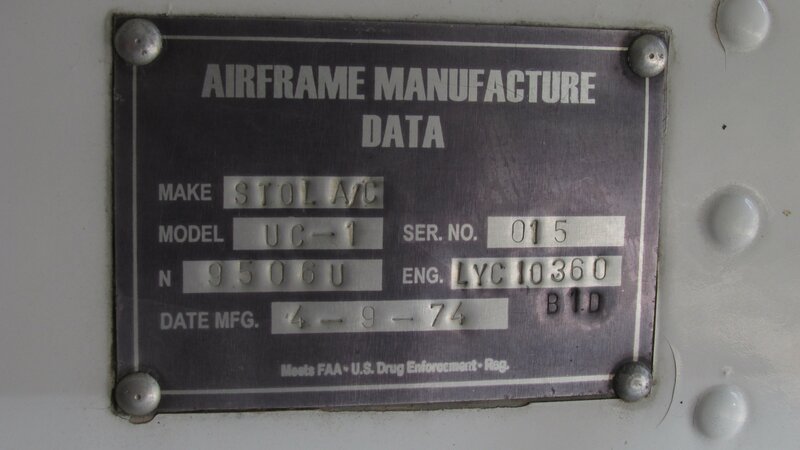 Thanks for the info on where to look for the serial number. 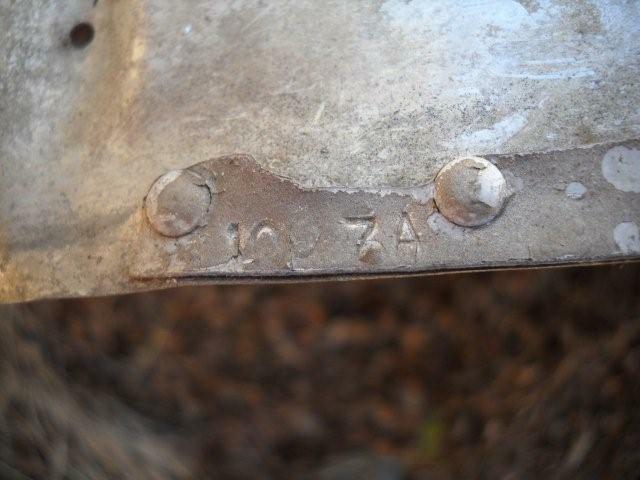 I returned to the site today and was able to locate a serial number stamped on the trailing edge of a control surface on the port wing. 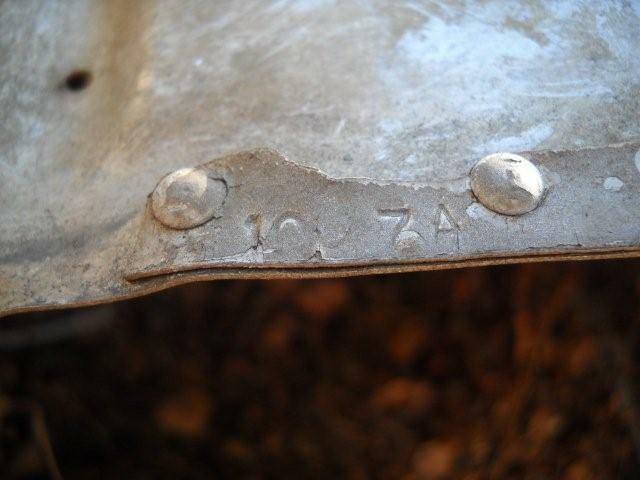 The serial number is not totally clear but as far as I could make out it is: 1007A or maybe 107A??? Hopefully you guys will be able to identify it from the pictures. I could not find any numbers on the keel, but I may have been looking in the wrong place. I spent a fair amount of time searching... but to no avail. 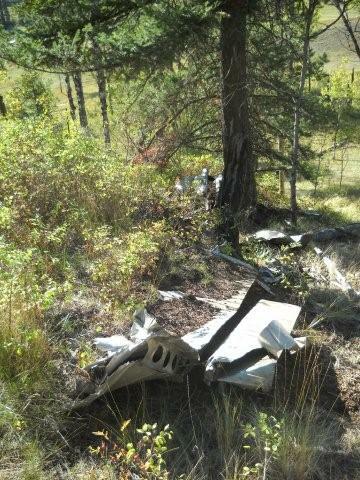 I have spoken to another local rancher who seems to remember that this crash might have happened in the early 1970's and that 3 people were killed. 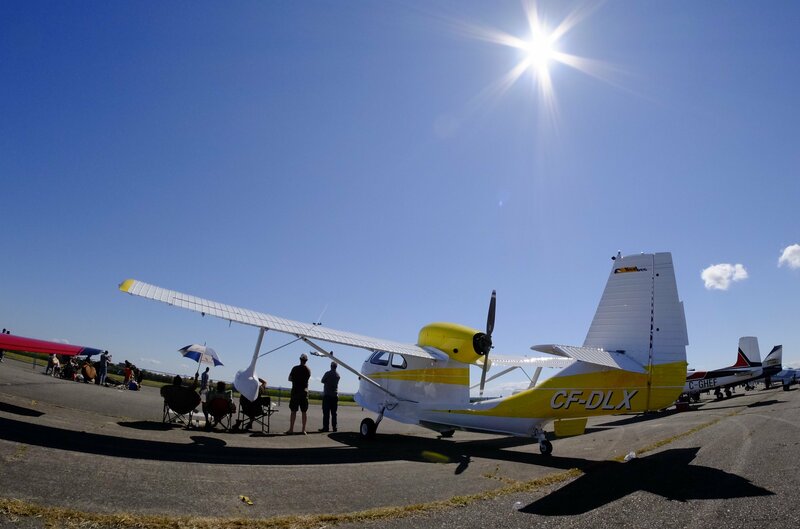 The story he told me is that 3 friends flew the aircraft up from Vancouver, and were circling the area at low altitude to indicate their arrival to people on the ground....they were then going to proceed to a nearby lake (Lac La Hache) to land. 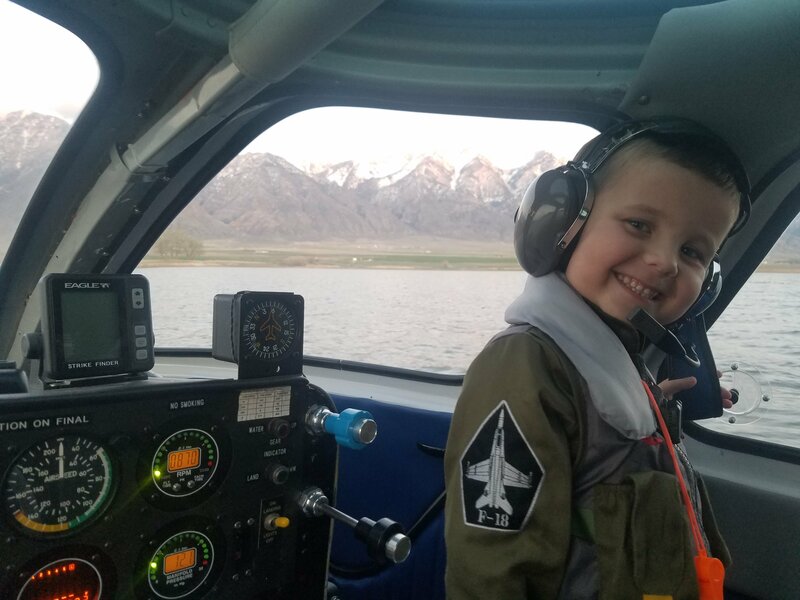 While circling, the engine began to run rough, stopped, and the aircraft either stalled and spun, or spiralled and crashed into the mountainside. 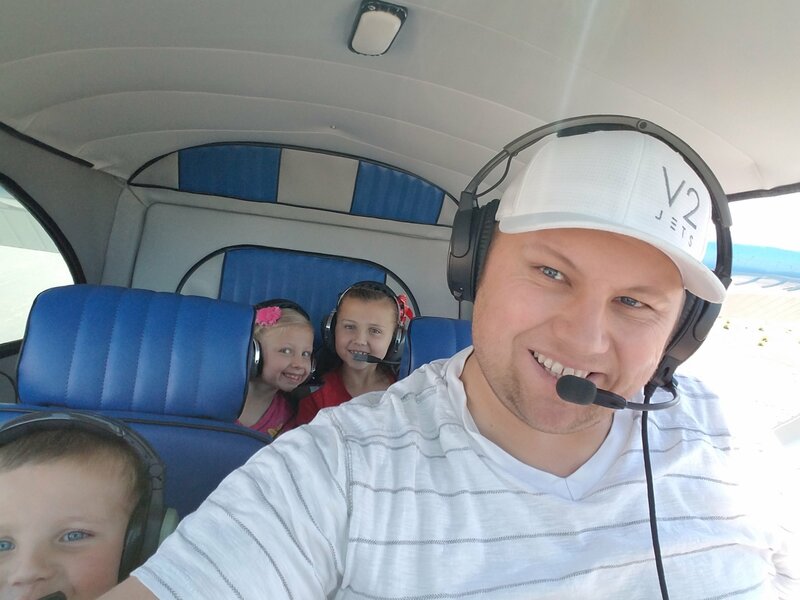 All three on board were killed instantly. 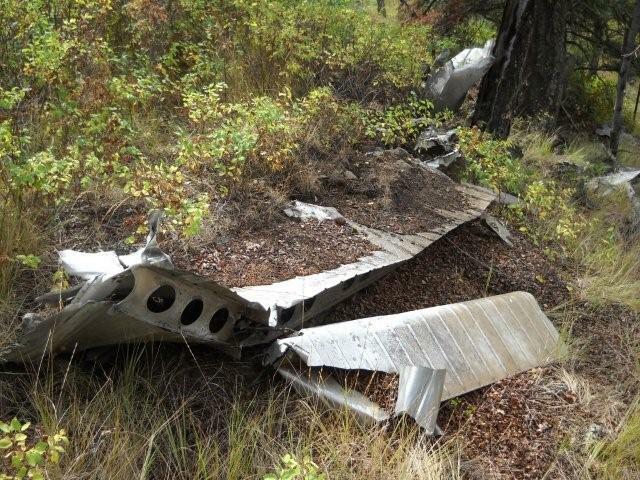 From my investigation of the crash site, and the state of the wreckage it is my guess that the a/c hit at a fairly substantial speed. 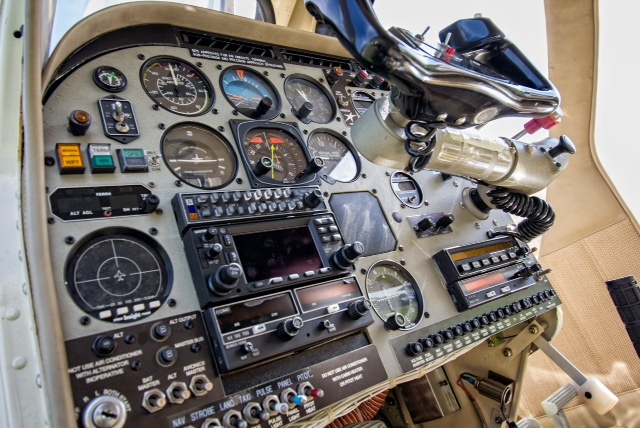 (I think I mentioned before that I am a pilot myself). 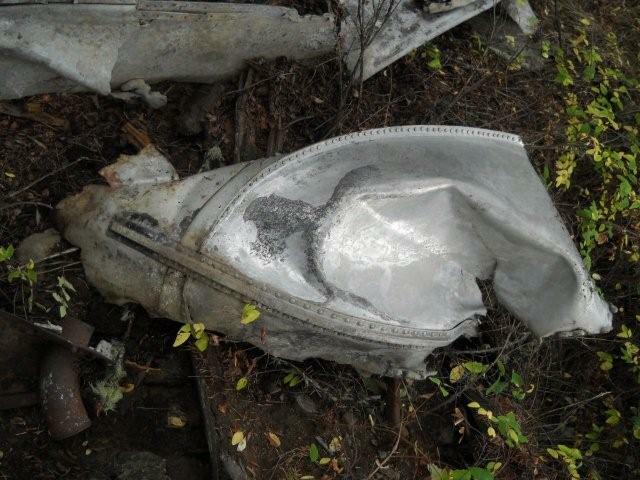 There was obviously an intense post crash fire as there are numerous melted parts, as well as actual ingots of melted metal littering the crash site. 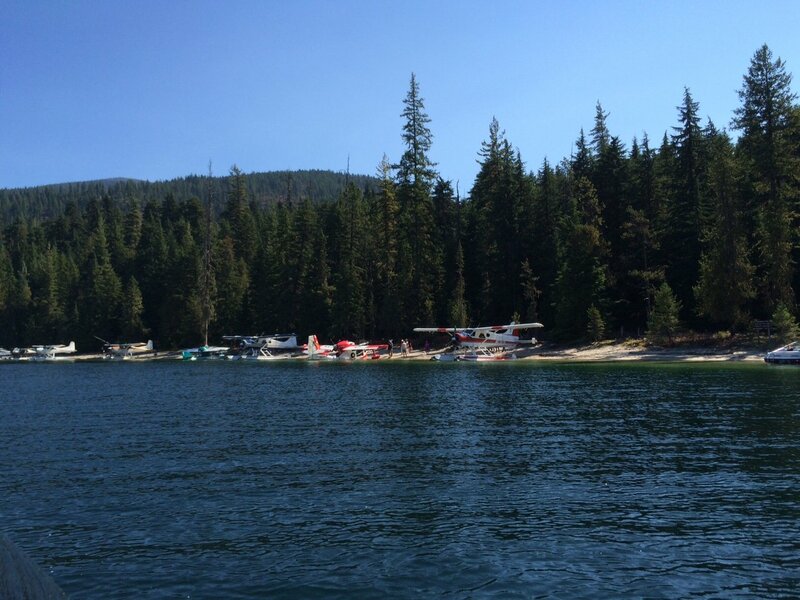 The crash location is about 5 miles NE of the southern tip of Lac La Hache lake in central British Columbia. 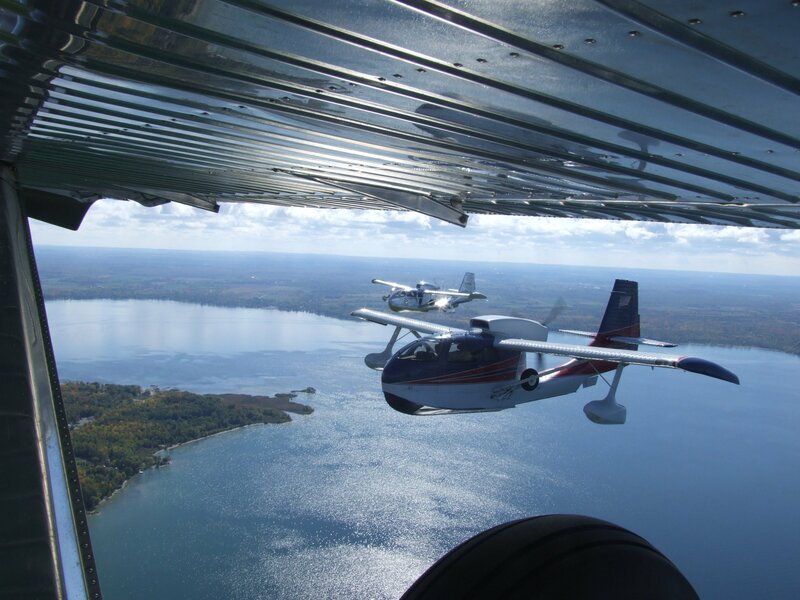 Lac La Hache lake is easy to find on google earth. Well thats about it guys....hopefully you can shed some more light on this! "HI. As luck would have it, Henry Ruzakowski is here visiting as your email came in. 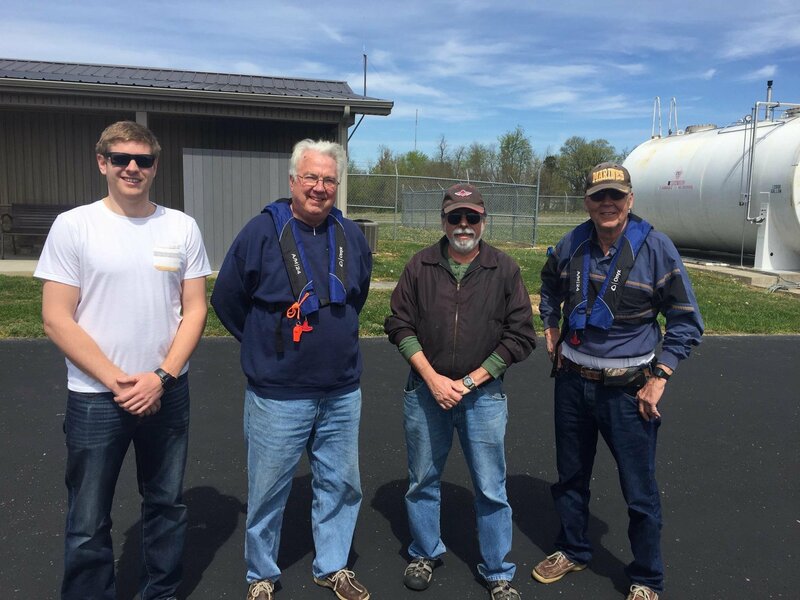 We found out that s/n 1007 is alive and well, so it can't be that one. 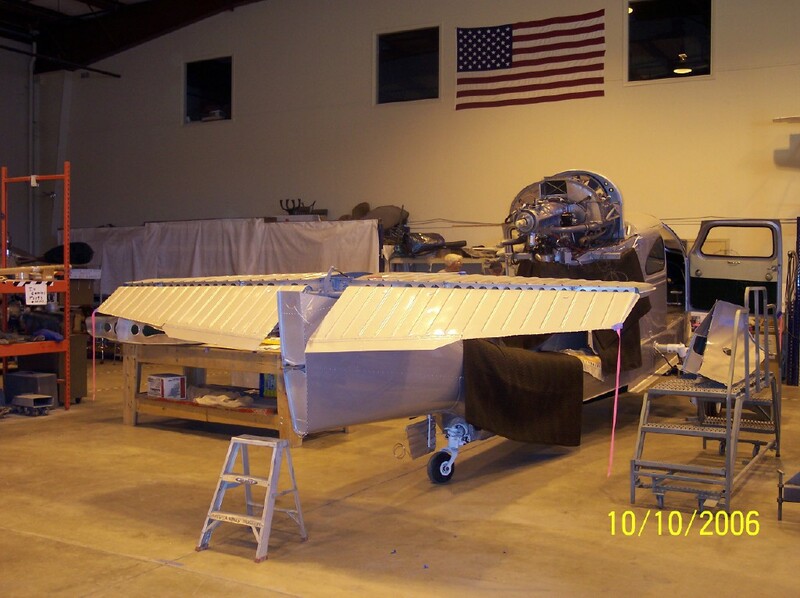 In a previous investigation into another Seabee hull, we found out that Republic didn't build every serial number, so they may have used previously made parts on a different hull number. Henry has agreed to research this and get back to you. I hope everything is fine with you, your family and “Marty B”! 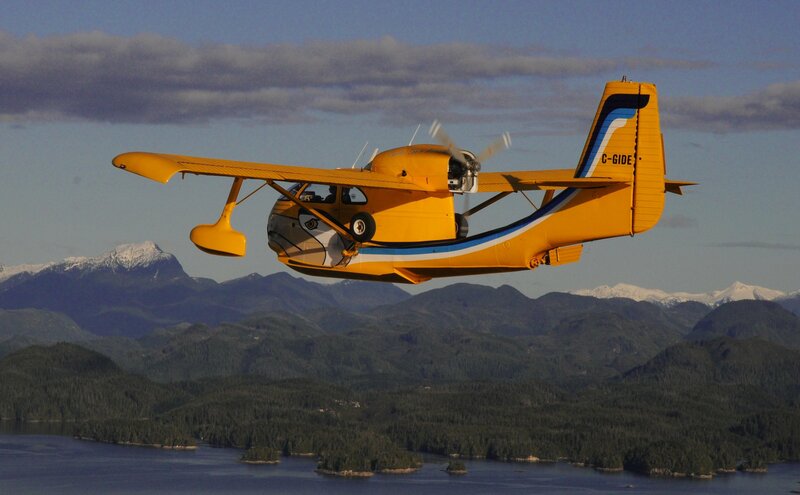 I visit the IRSOC website almost every day, and you do a tremendous job for the Seabee community! 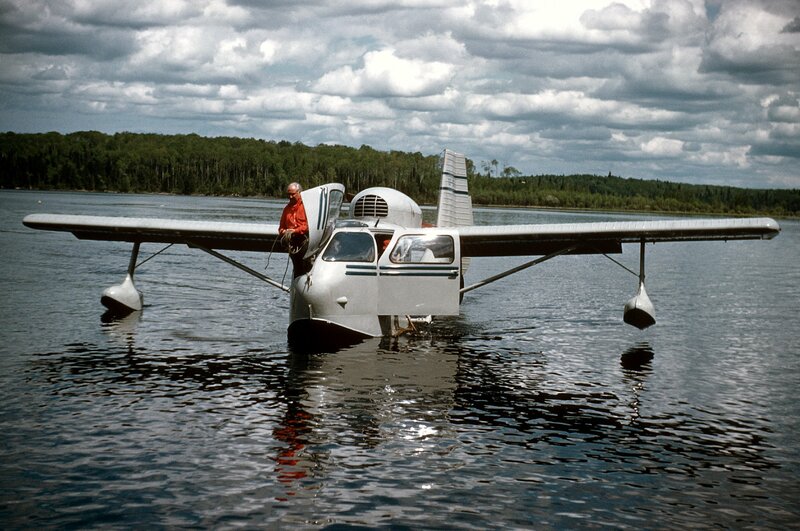 From my memory I thought I had seen the registration “CF-ISW” before, and after checking my small Seabee slides collection, I was amazed to find that I have a photo of CF-ISW, taken just over a month before the tragic crash! Could you please also put me in contact Mr. Shea De La Mare? I would very much like to get his permission to use some of his photos of the wreck for the # 1008 webpage. You can of course use the enclosed photo of “CF-ISW” on the IRSOC website, Steve! Thanks a lot for your great work, Steve! 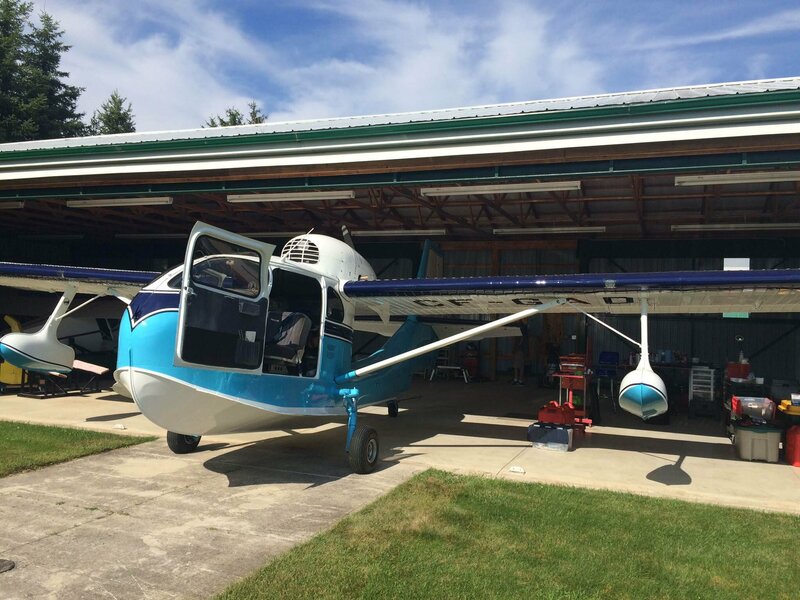 Bob Peterman and the "Spruce Goose" Museum are making great progress with their Seabee! 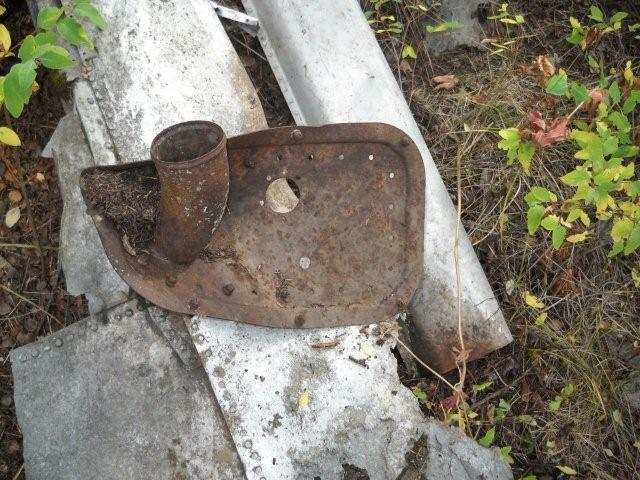 Thanks to Jeremy Brown, Bob Peterman has found his original gas cap! Thanks Jeremy. Good progress is being made on the "Spruce Bee". 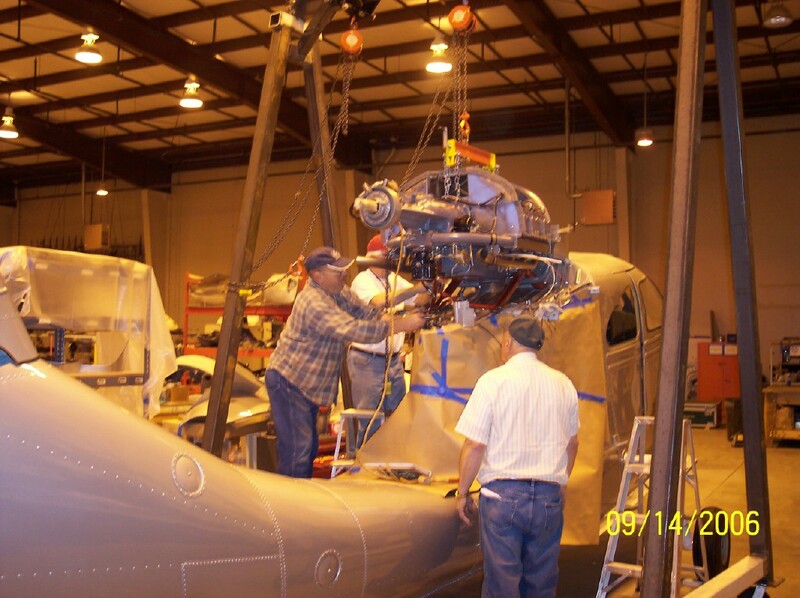 When it is completed the Seabee above will be located next to the Spruce Goose. Yup, the real thing! What an honor and these guys are doing a fantastic job. Great work! You can see the museum website at http://www.sprucegoose.org/. Thanks Bob and keep us updated. December 2006: Update! The "Spruce Bee" is done! 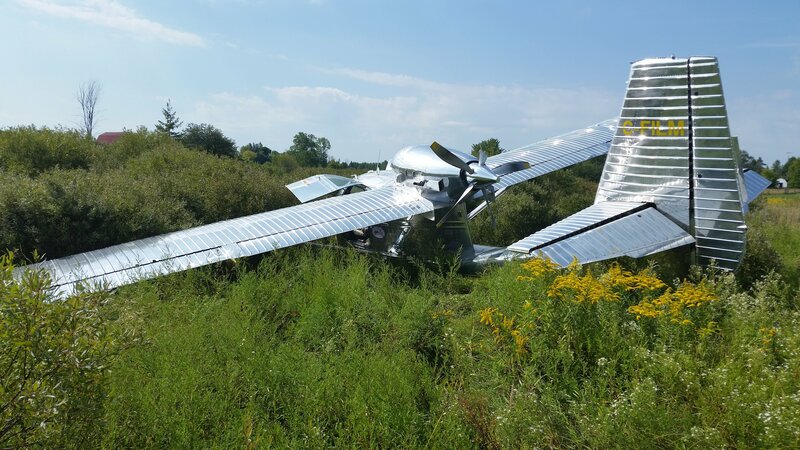 At least Bob Peterman says he doesn't need any more parts. That's a good thing. 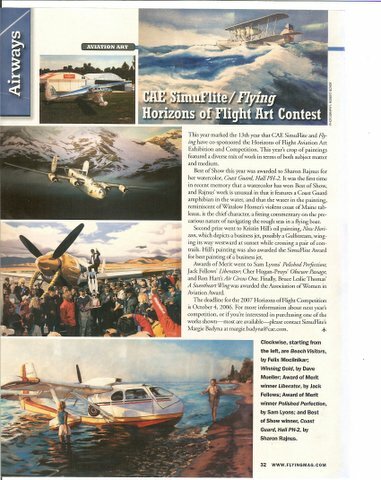 Don Anderson makes page 32 of Flying Magazine! 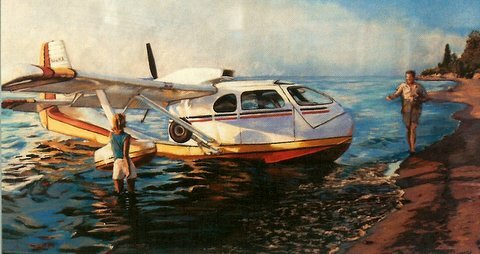 May 2006- ...if you haven't already seen it, a painting of our SeaBee, N681CB made page 32 of the June 2006 ussue of Flying magazine. The painting (shown above) was done by a close friend of John's (Kosir), Felix Mocilnikar (don't try to pronounce it), who is a very accomplished artist, living in the Dallas area. 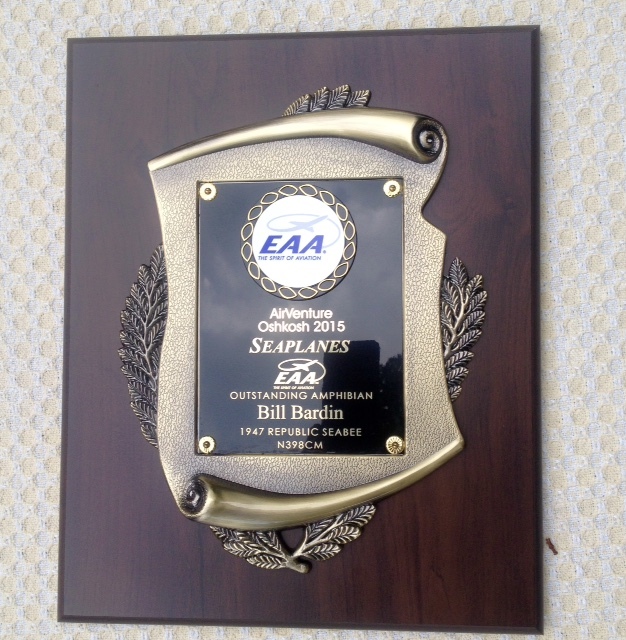 He is also a Technician (still a mechanic to me) for American Airlines. The location was the shore of beatiful Lake Erie, here in Willoughby, OH. That's John and his squeeze, at the time, in the pic. 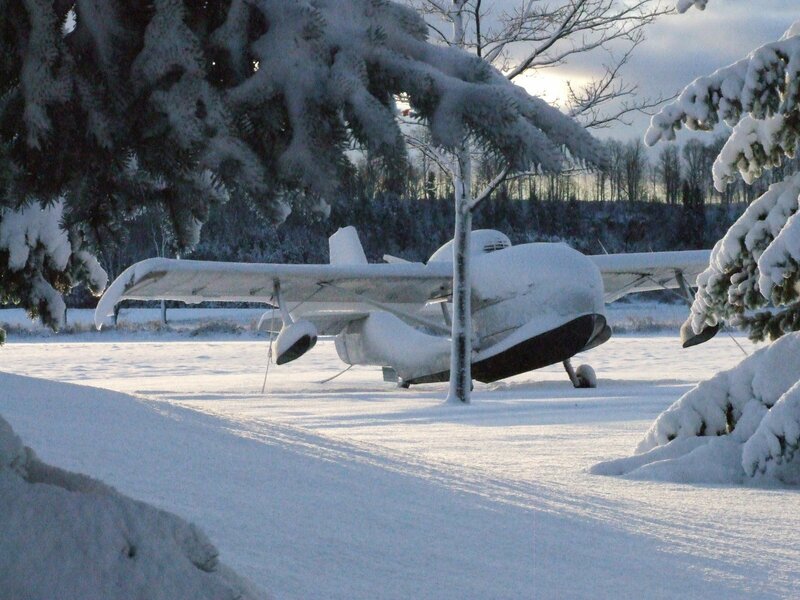 The other pics were taken last Fall, a few miles East of here. The looney in the Decathlon took the CB pics (Capt. Chris Megan, American Airlines). Thought you might want to post this on the web site. Hope life has been treating you both well. Things are good at this end.